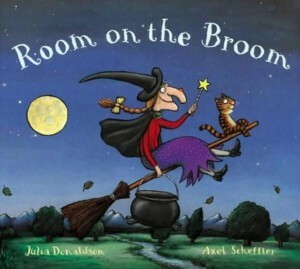 Have you heard of the children’s book Room on the Broom by Julia Donaldson? 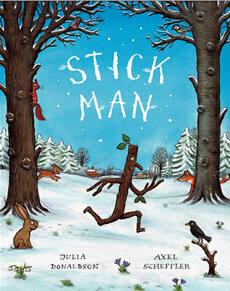 What a fun book this is and perfect as we approach Halloween. 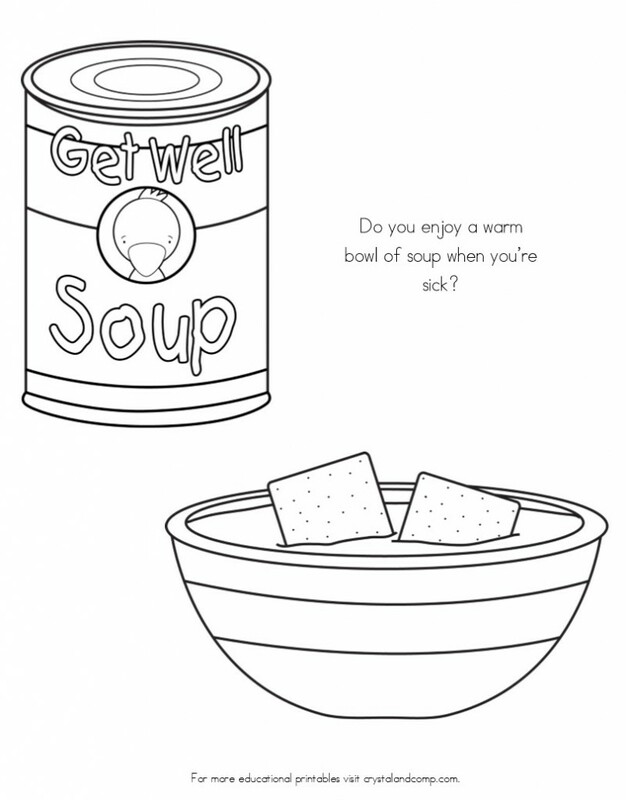 I thought it would be fun to make some kid color pages to go with this book. 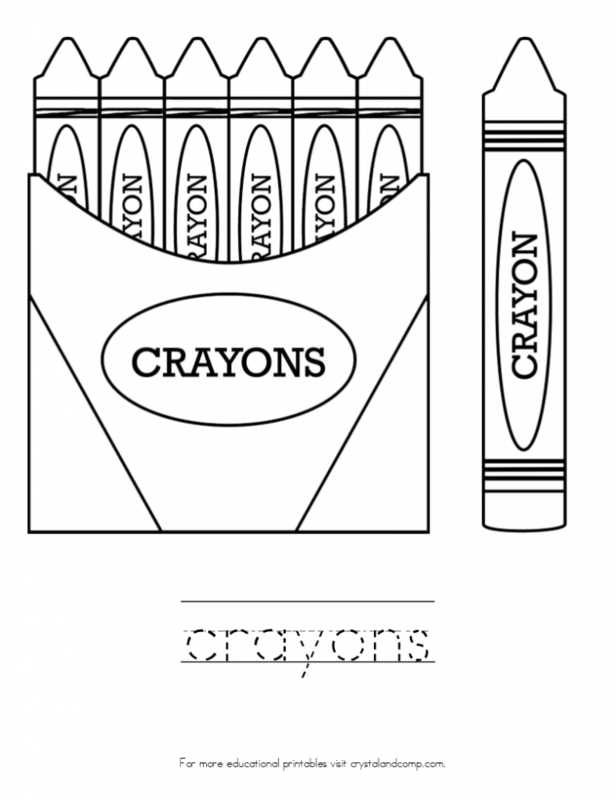 Color pages are very good for children to use. 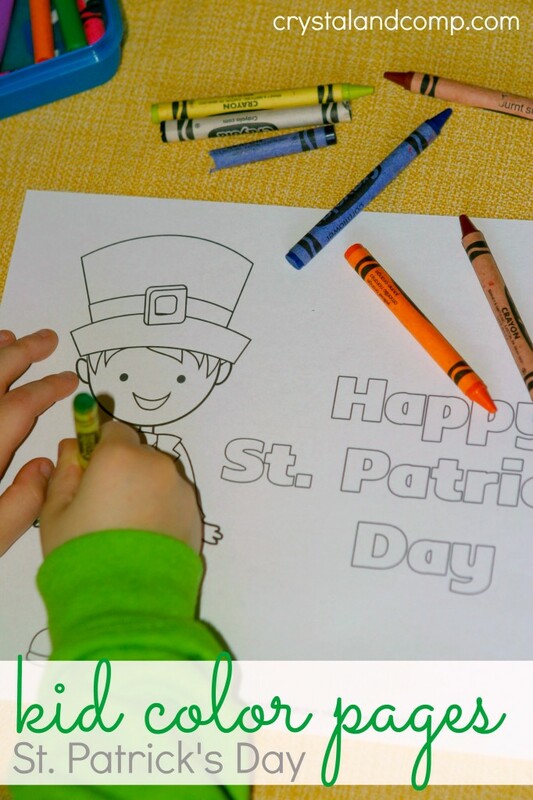 Coloring helps build fine motor skills, develops grip, enhances hand and eye coordination, and more! I have put these printables in order to go with the storybook, so this will help with comprehension and sequencing too! 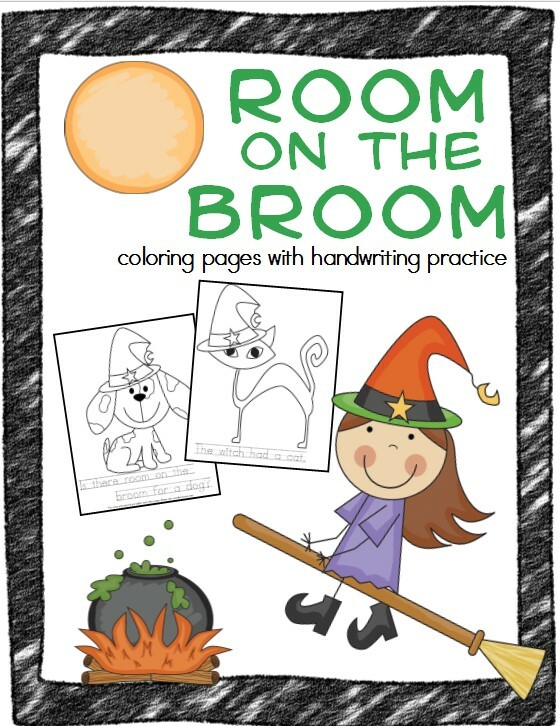 And I have included handwriting practice for kids on these pages too! 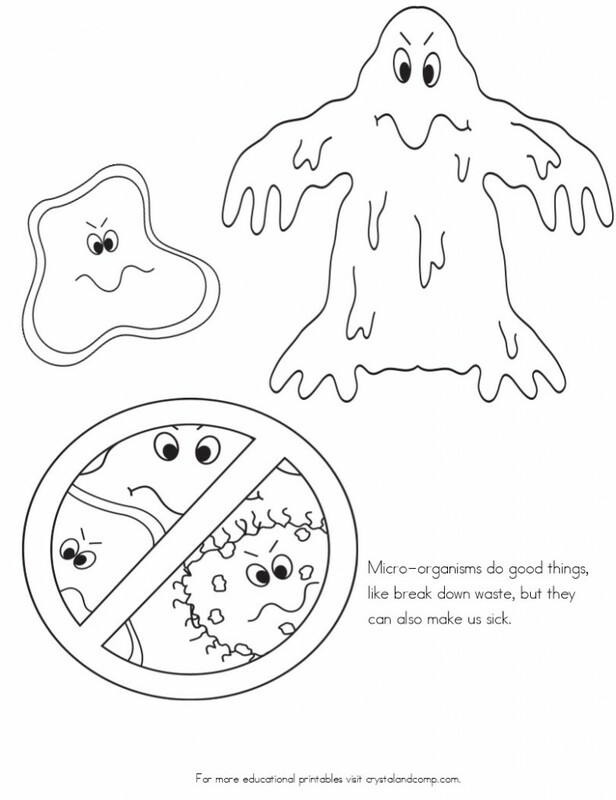 There are 9 coloring pages, a cover page and an instruction page with terms of service included in the packet. 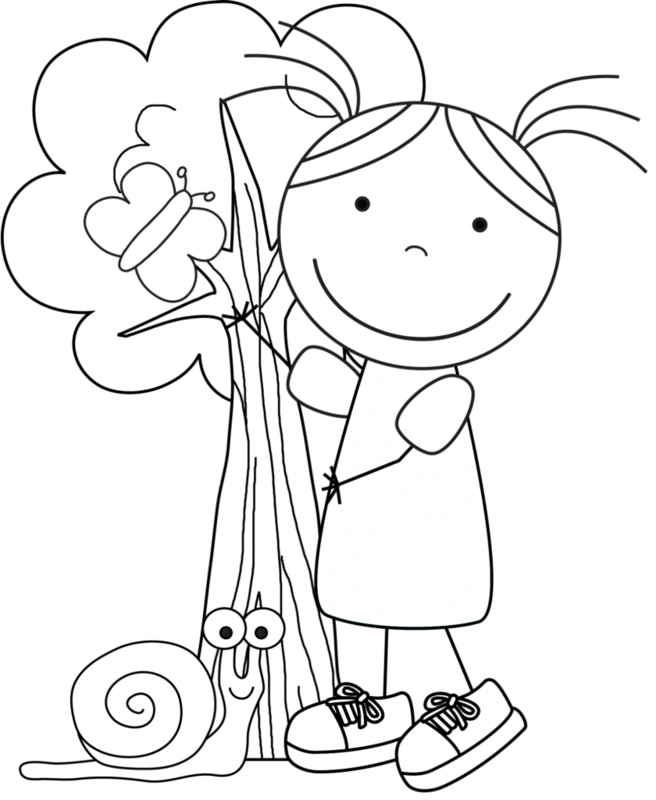 Each coloring page has a picture and handwriting practice that goes along with the story. 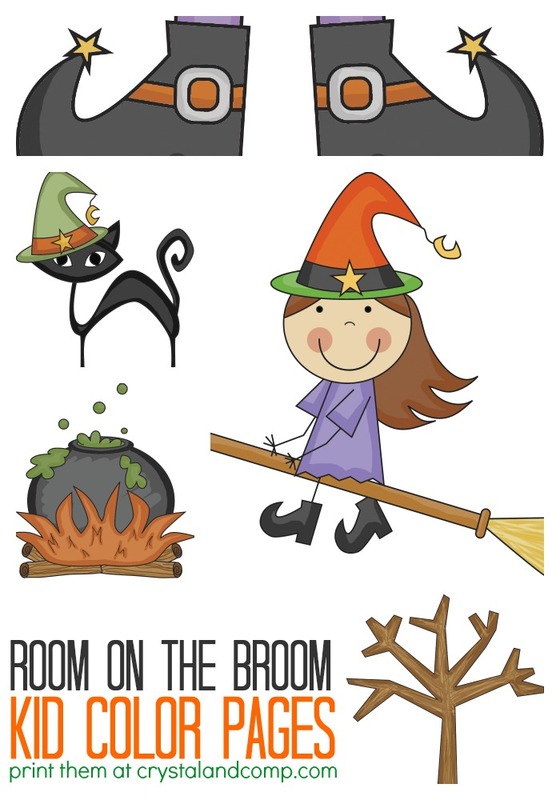 There are pictures of the silly witch, the bird, frog, dog, dragon and more! 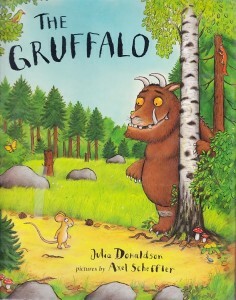 Here are more of our favorite books by Julia Donaldson. 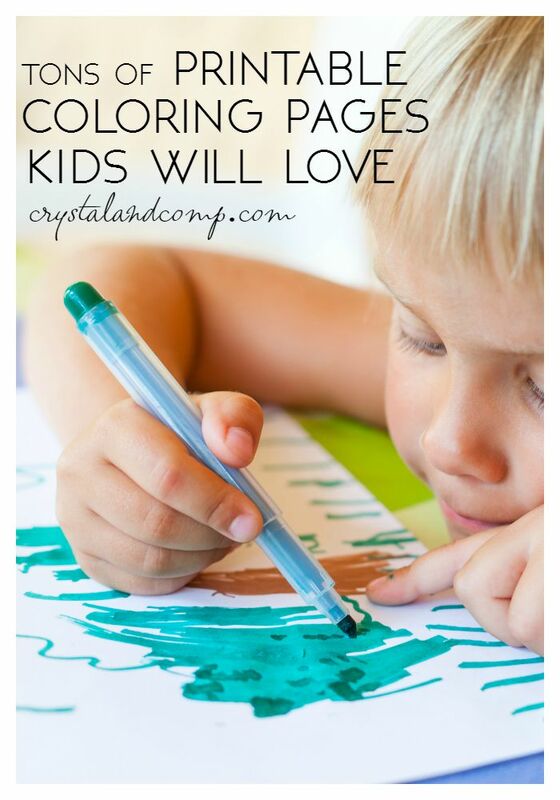 Your kids will love them all. 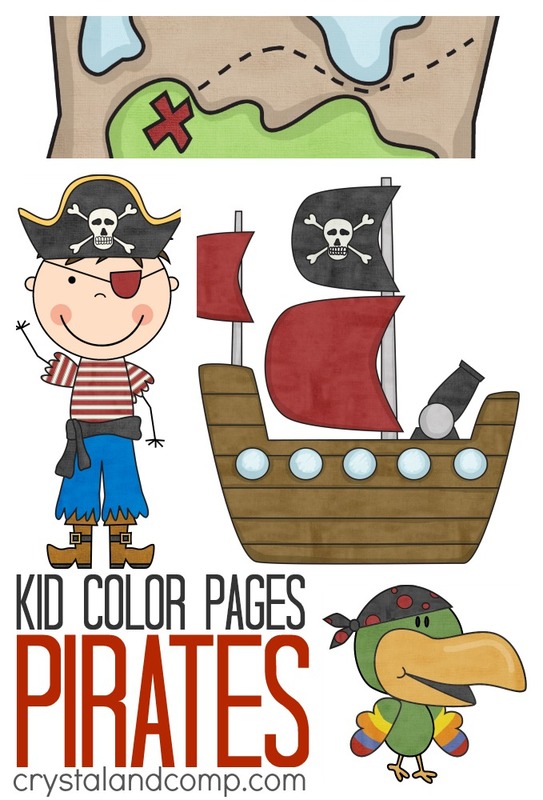 Pirate Color Pages for Kids! 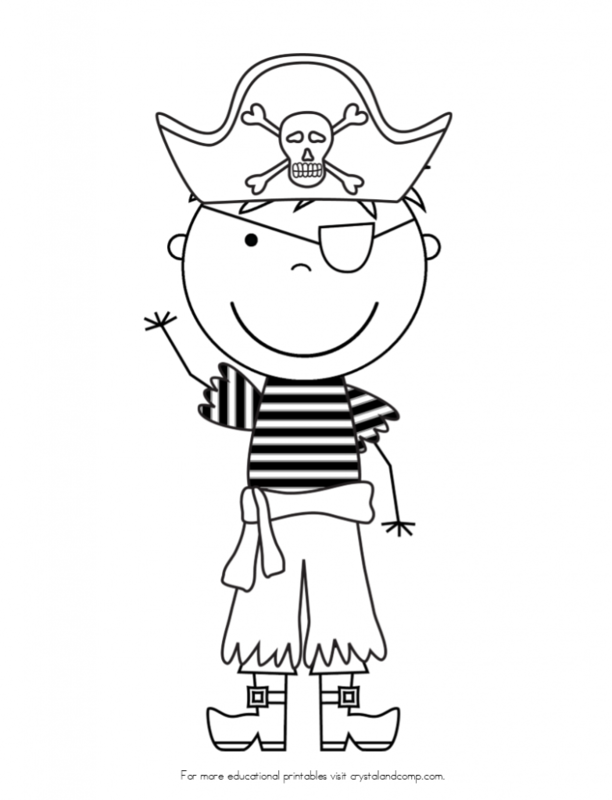 Are you on the hunt for pirate activities for kids? 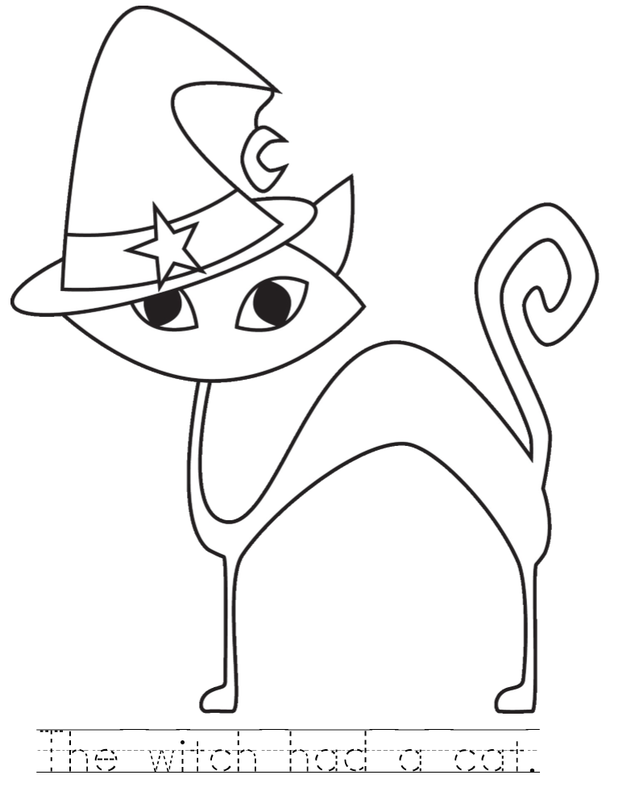 If so you will enjoy these free coloring pages! 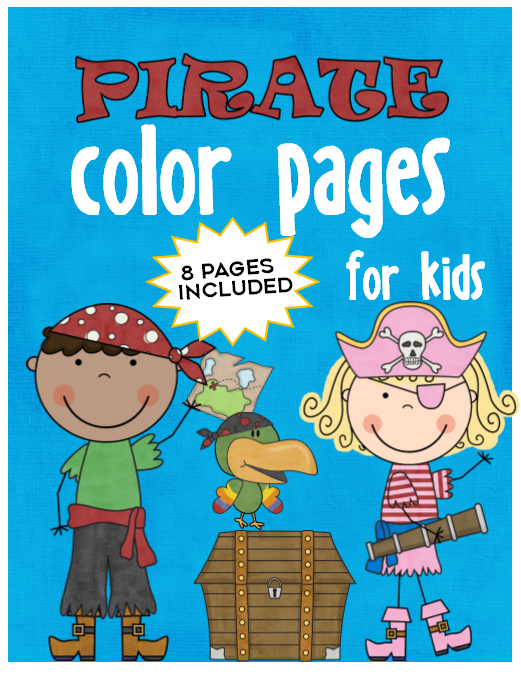 Both boys and girls will love these for Talk Like a Pirate Day, for birthday party favors and just for any time they want to have fun! 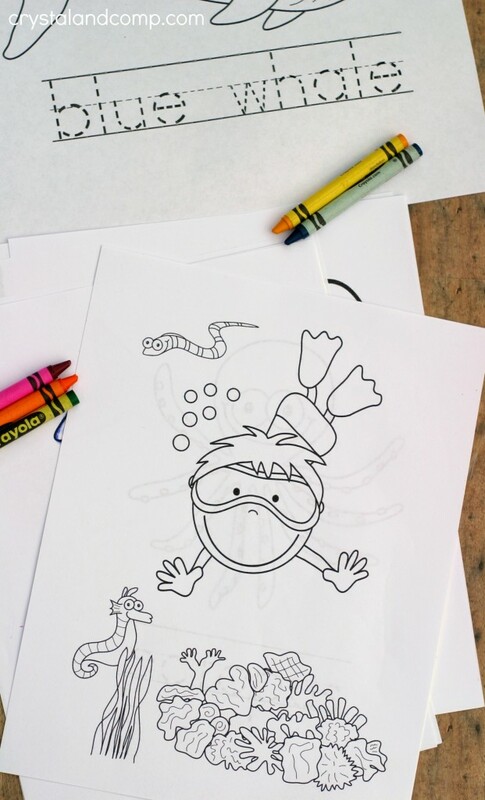 You can even have kids color with these while they listen to you read pirate stories. It is a fun eight page packet. Let me show you all of the pages! 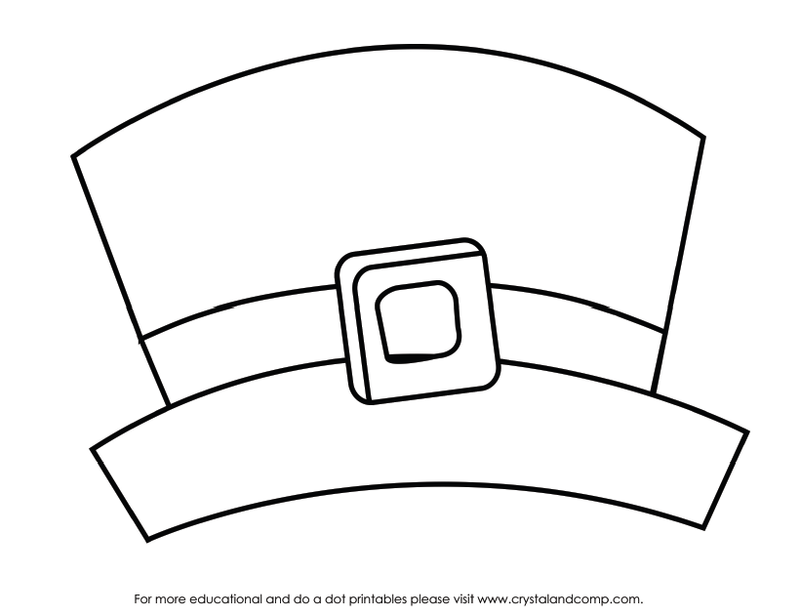 Have fun coloring these pages as you talk like a pirate! We are really digging kid color pages lately and I am so happy to share them with you! I recently shared a boy version of Earth Day color pages and I think you will enjoy this girl version as well. 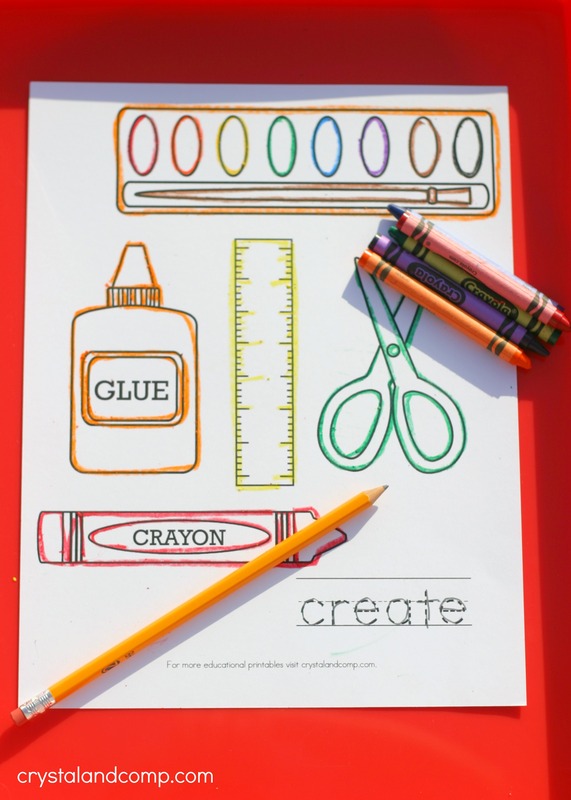 Creating these color pages promoted me to find out some history and fun facts about Earth Day. 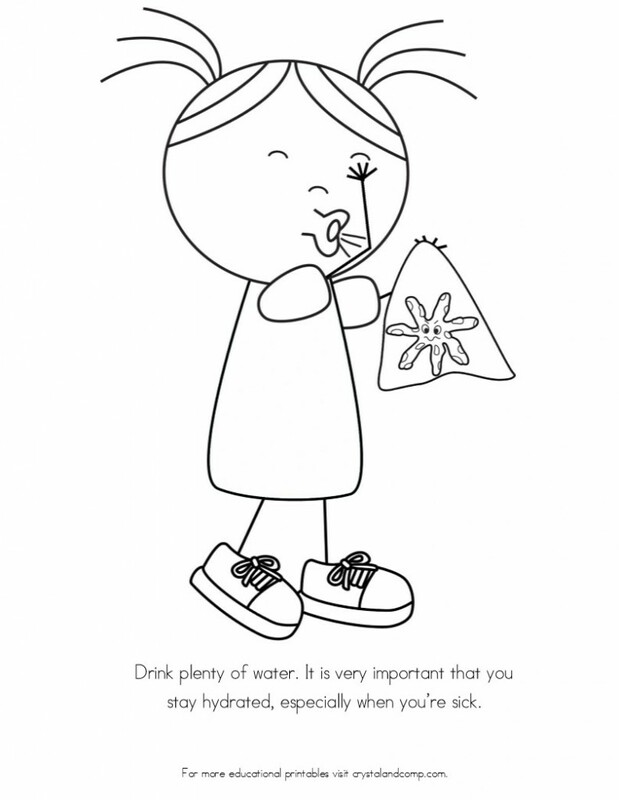 The information is fun and I thought it would be helpful for us to share with our kids. While we naturally teach our kids not to litter, not to be wasteful and recycle what we can, sometimes I think we forget other ways that we can be Earth friendly in our every day life. 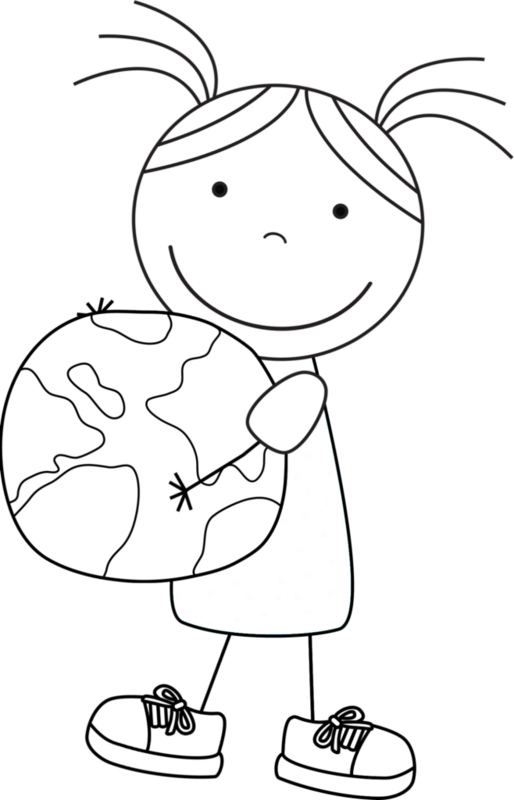 You can print the six page Earth Day kid color pages for girls. Grab some crayons, markers or paints and create something gorgeous. 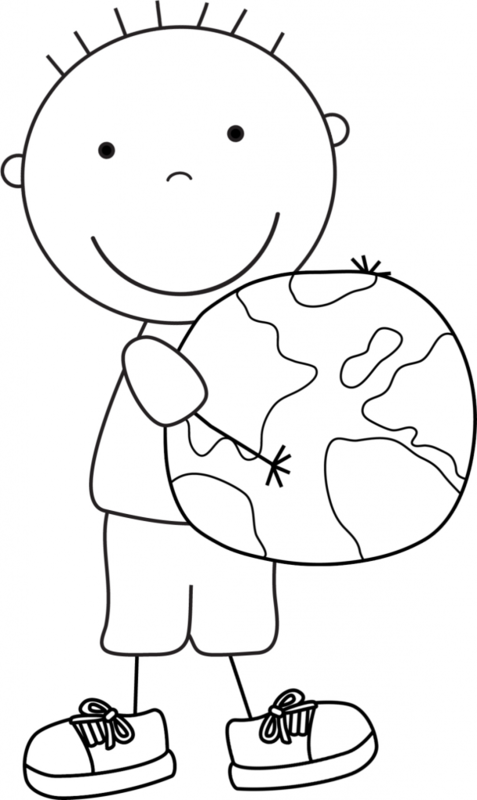 Earth Day started in the United States. 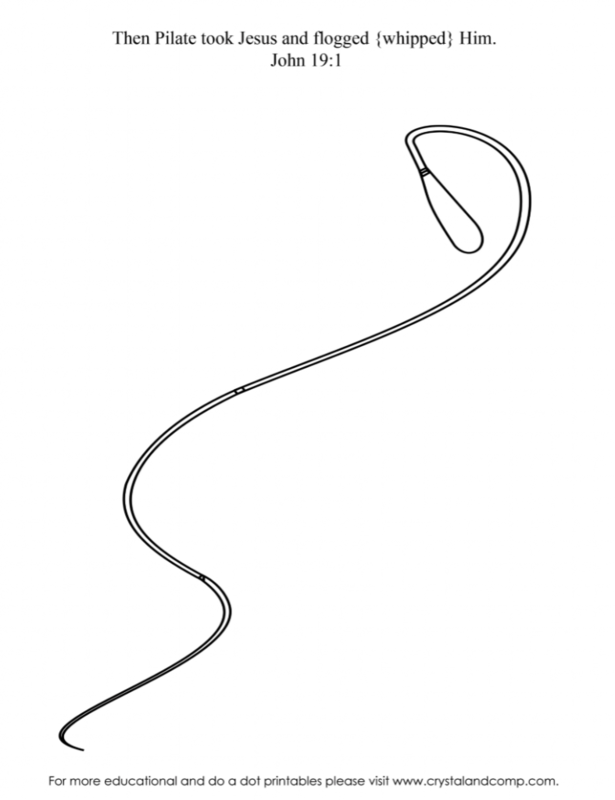 It was recognized worldwide by 1990. More than 1/3 of all energy is used by people at home. Turn off the lights when you leave a room. It really does make a difference. The average American uses more than 750,000 gallons of water per year. Did you know that 14 billion pounds of trash is dumped into the ocean every year? Never liter and be an example to your friends. We each use about 12,000 gallons of water every year. Wow, that is a lot! Collect rainwater and use it to water plants! It takes 90% less energy to recycle aluminum cans than to make new ones. Recycle! 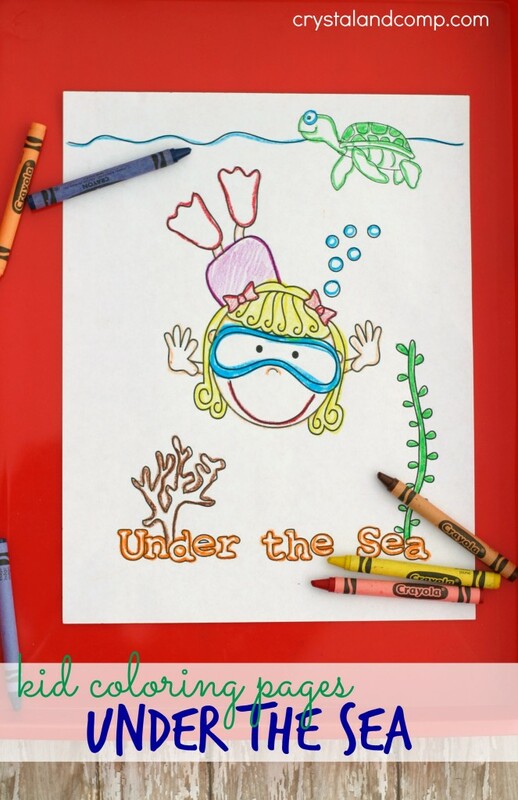 We are in love with kid color pages at our house! 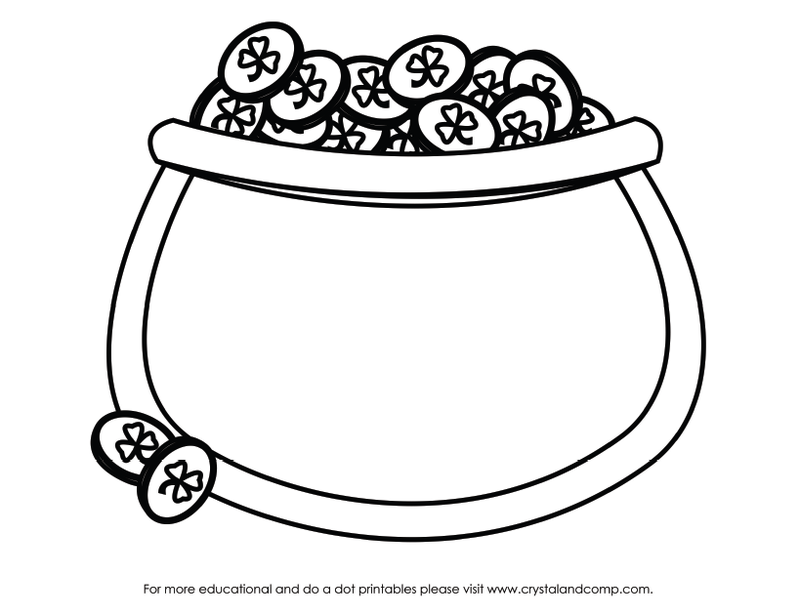 These were so fun to make as we celebrate Earth Day. 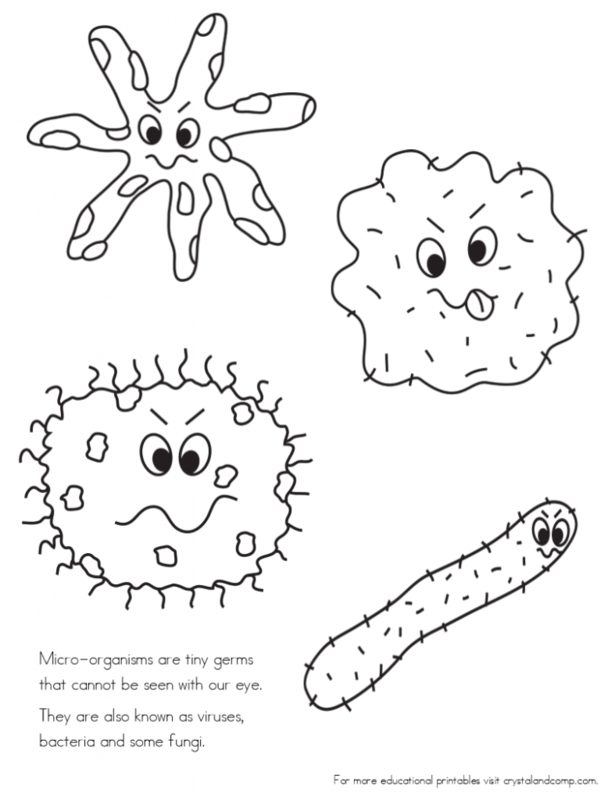 Here is a collection of six pages kids can color that all focus on Earth Day which is around the corner! These are great for just any day of the week as we are reminded about doing our part to keep our planet clean. 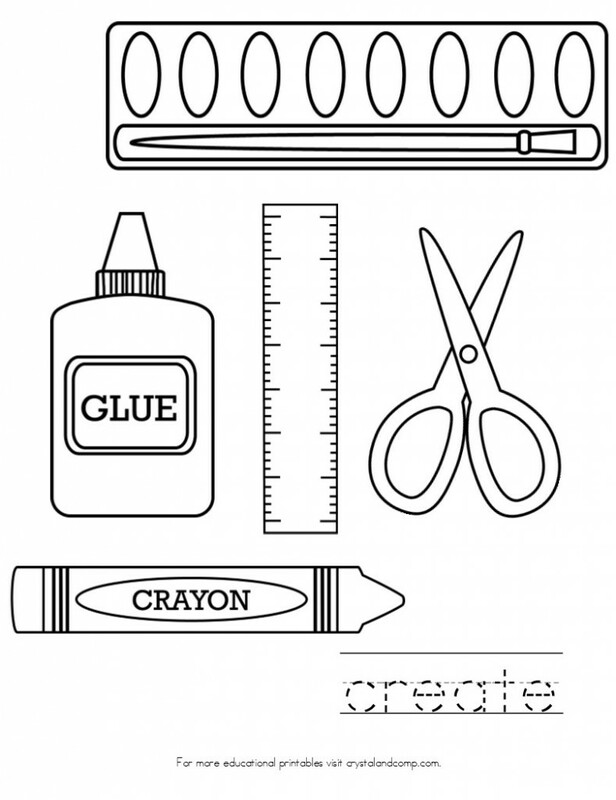 They are also nice additions to your homeschool day! 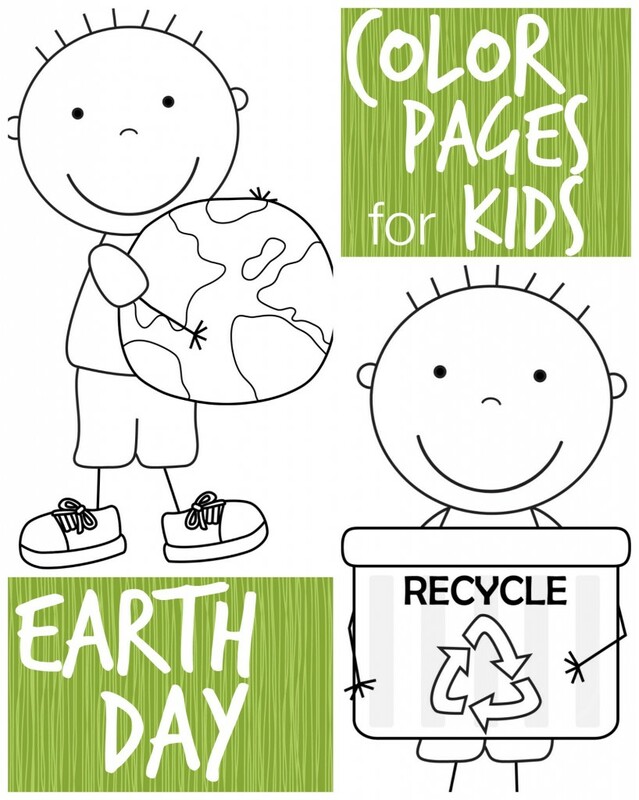 You can print the 6 page Earth Day color pages for kids here. 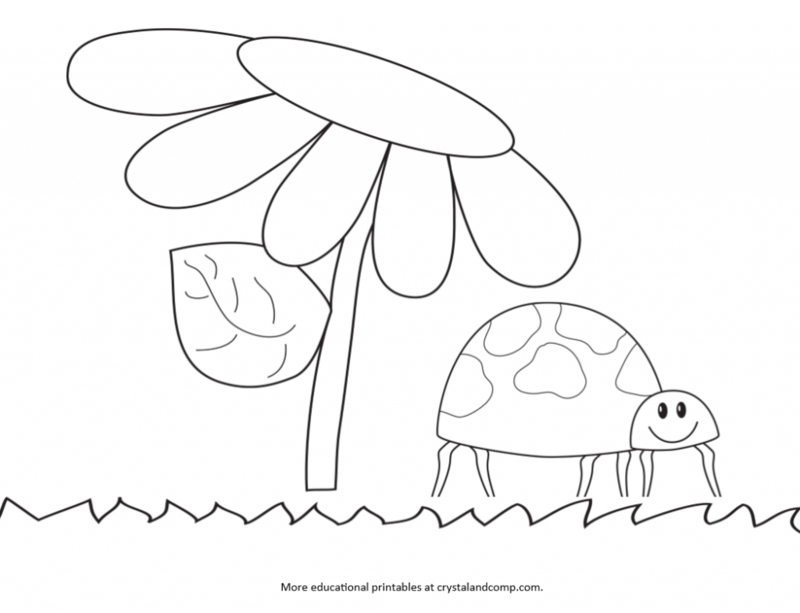 Enjoy discussing these Earth Day facts together as a family as you color. 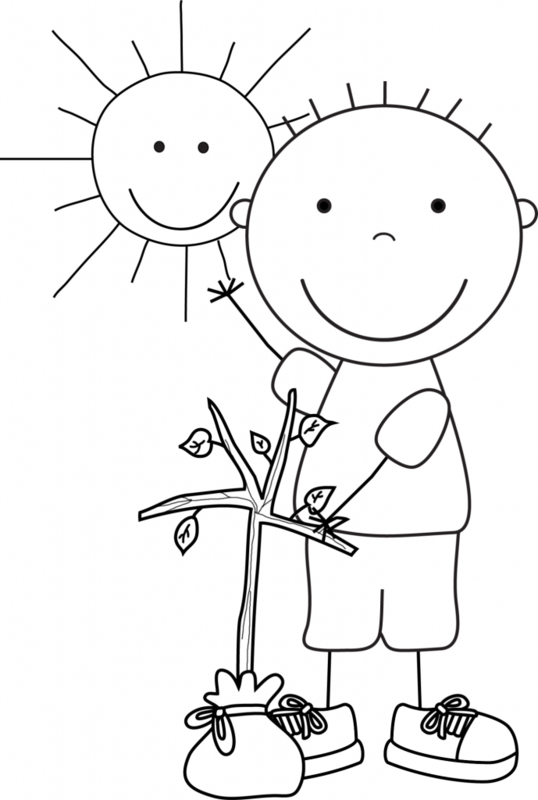 Earth Day is April 22nd each year. It started forty-four years ago in 1970. Did you know it takes 100 to 400 years for plastics to break down in a landfill? How much plastic does your family throw away? 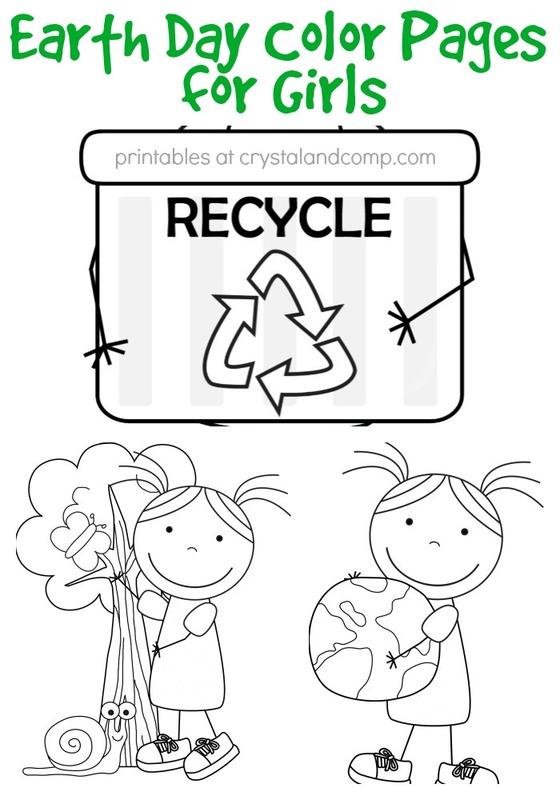 Did you know that most families throw away about 88 pounds of plastic every year? Did you know that the average American produces four pounds of trash per day? And, recycling one glass bottle can power a computer for 30 minutes! 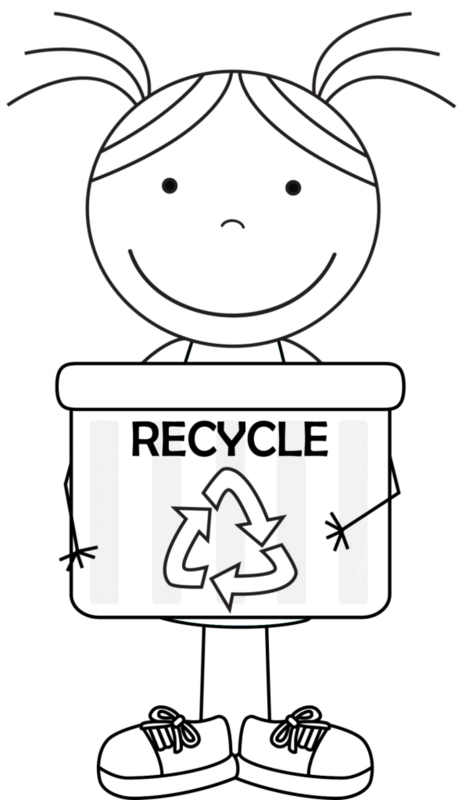 Did you know that over 80% of all household waste can be recycled? 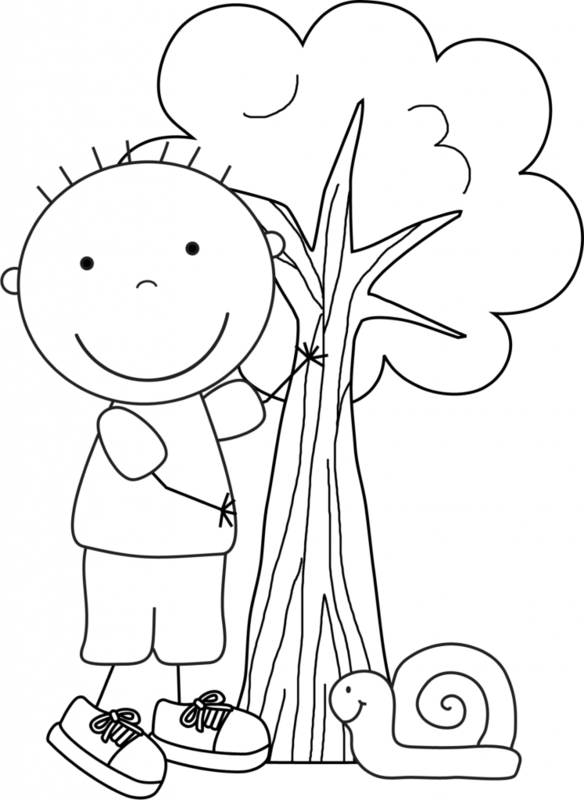 Did you know that recycling a stack of newspaper that is about 3 feet in height saves one tree? Reading about the news online is an option too that saves paper. 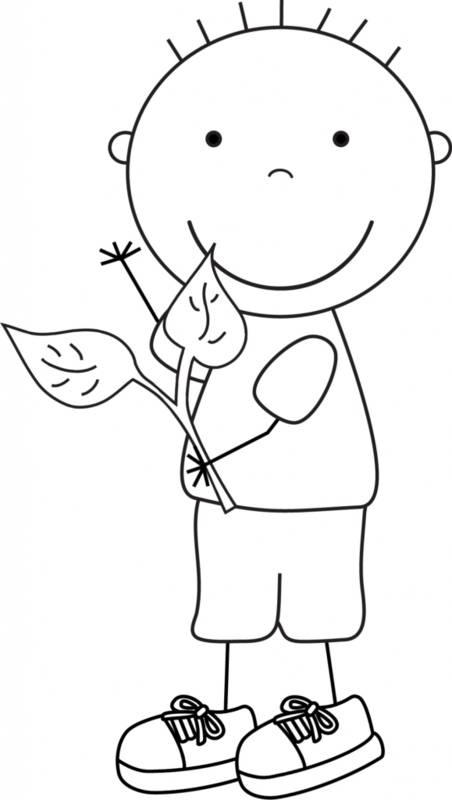 Have you ever thought about growing your own garden as a family? You can start now and even create your own compost! Don’t want to commit to a garden? 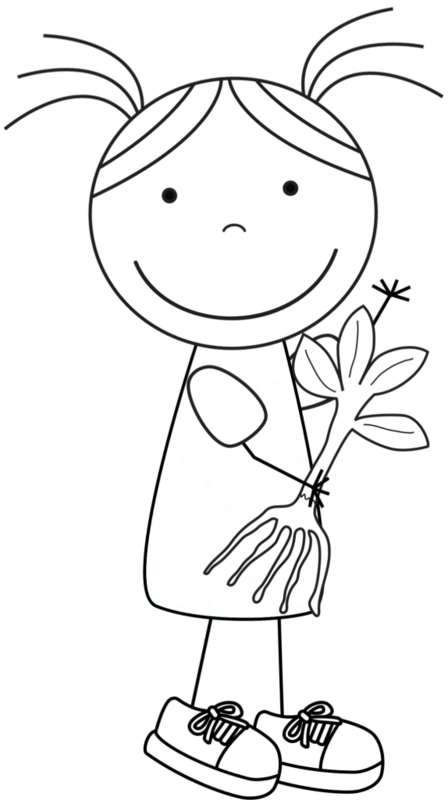 Plant some flowers! 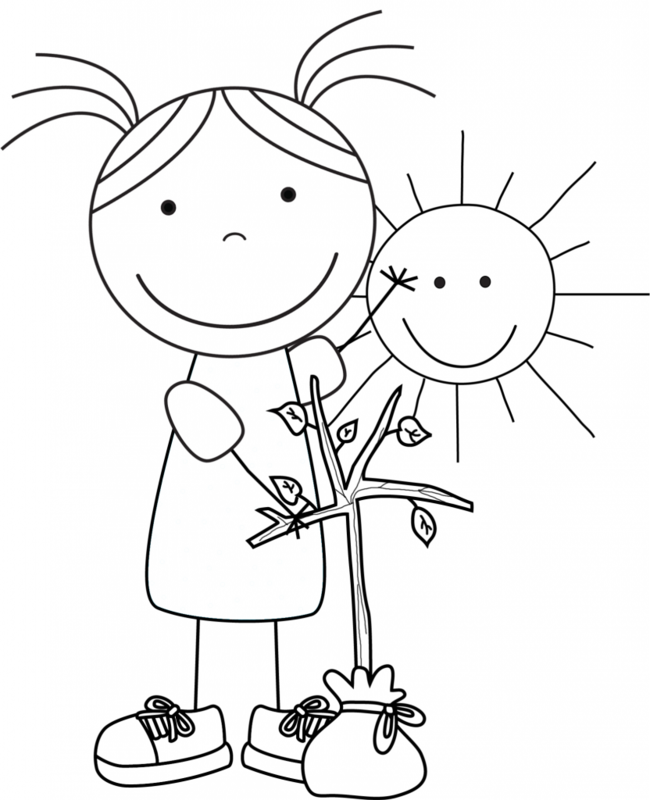 How will you celebrate Earth Day with your family this year? We love Easter and I am looking forward to church as a family, delicious dinner and an egg hunt. I love our new tradition of remembering the story of Easter by way of Resurrection eggs. Essentially these are 12 plastic eggs that have a treat inside to help tell the story of Jesus’ journey to the cross. 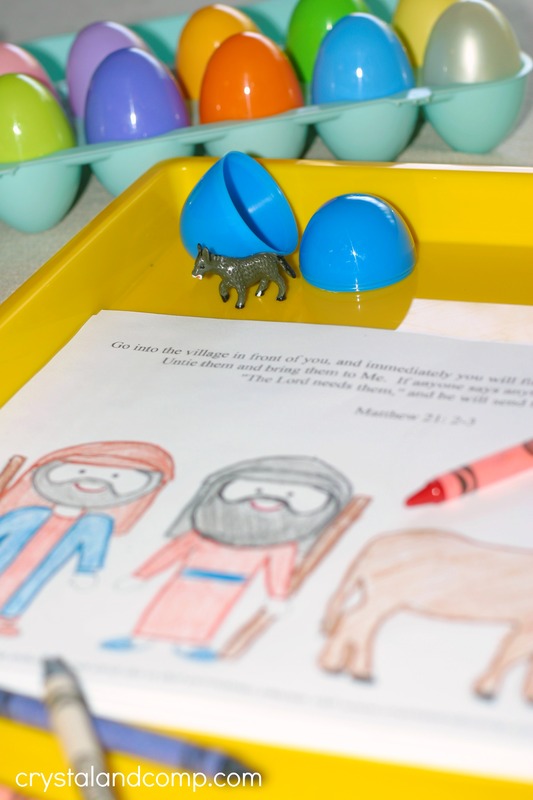 There is scripture that goes with each egg as you tell the story. 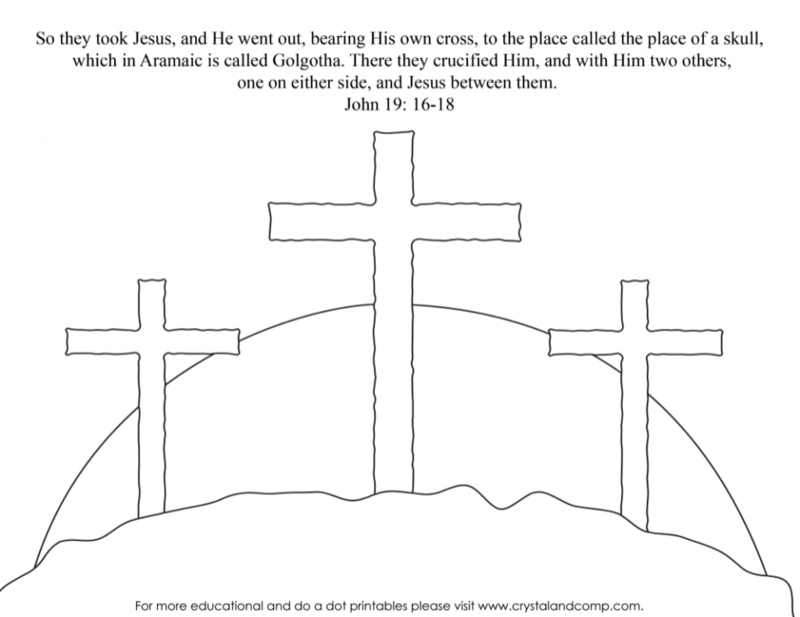 This year I wanted to create some kid color pages for Easter that parents can use along with the Resurrection eggs. You can do one a day or you can do them all at one time. 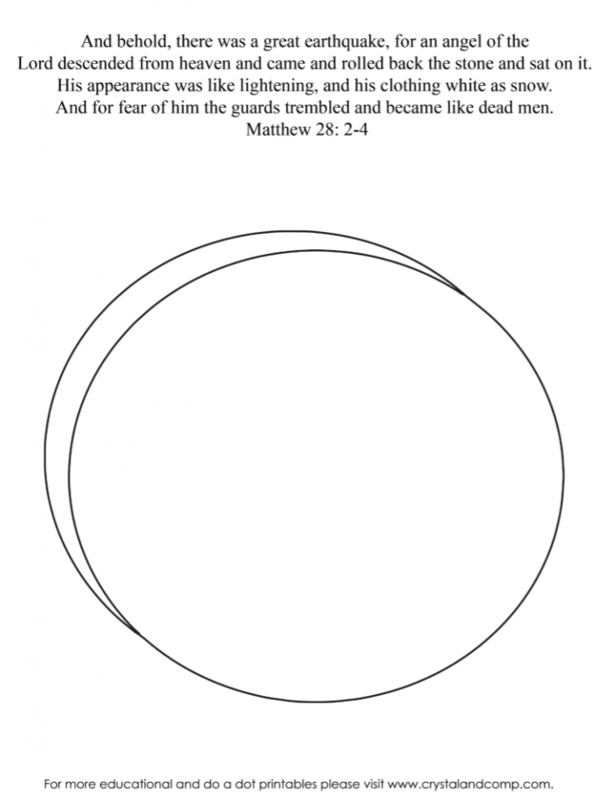 Each page also includes scripture so you could use these color pages to guide you as you create your own DIY Resurrection eggs. Here we opened the second egg in the carton which holds silver coins inside. 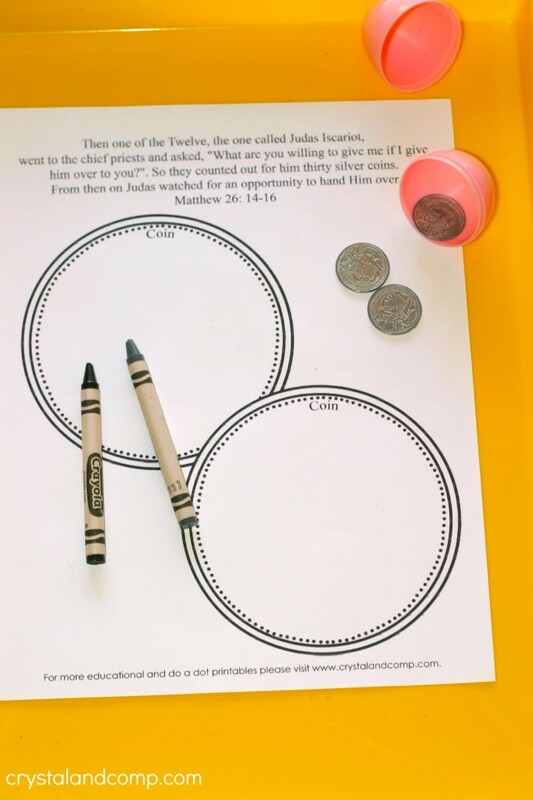 As you see, the scripture tells about how someone was paid thirty silver coins to hand Jesus over. 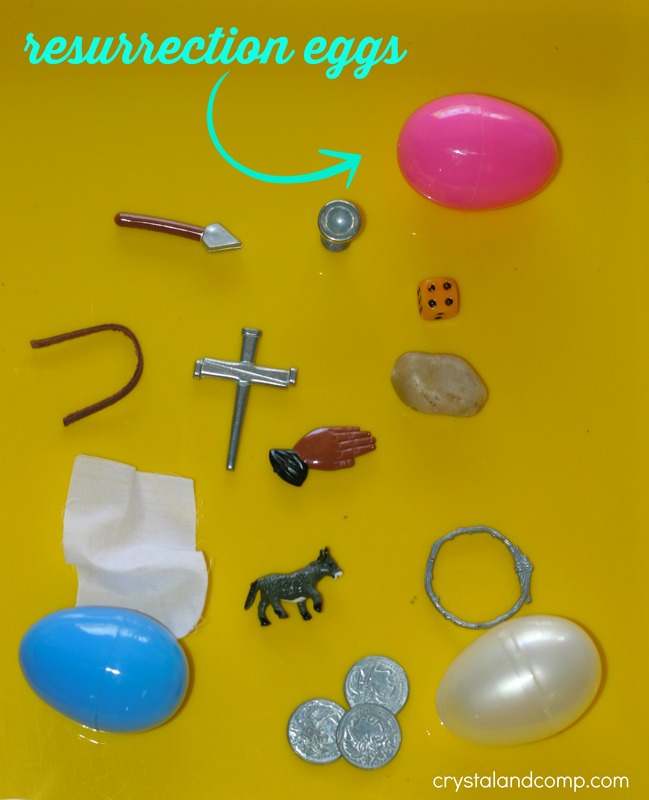 Here is a peek at what is inside the 12 eggs. 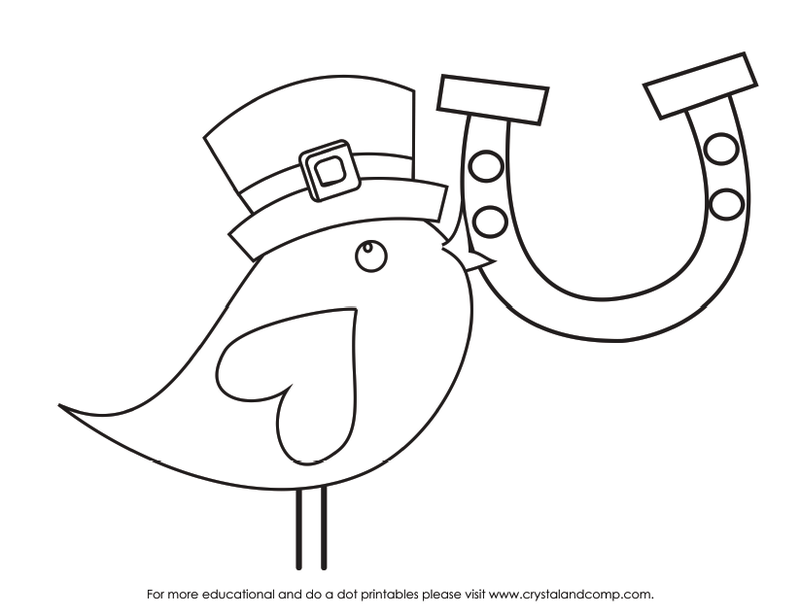 Print your kid color pages for Easter here. 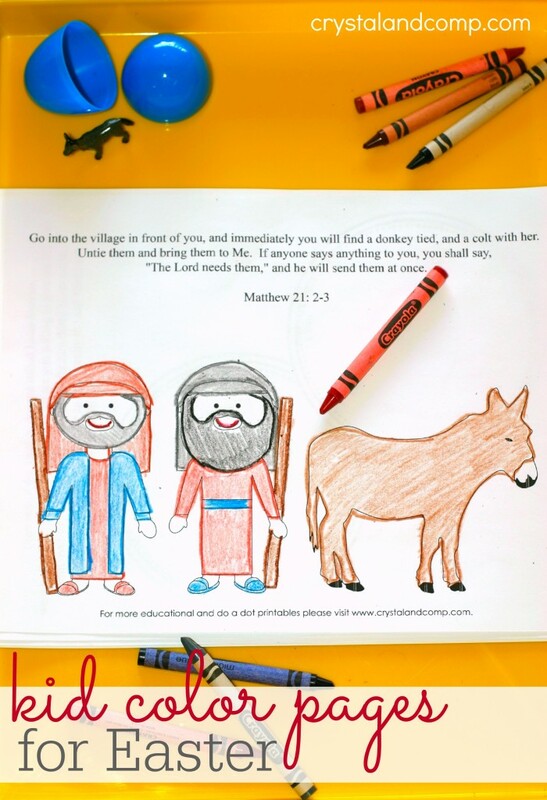 This color page signifies the donkey that Jesus rode into the city. 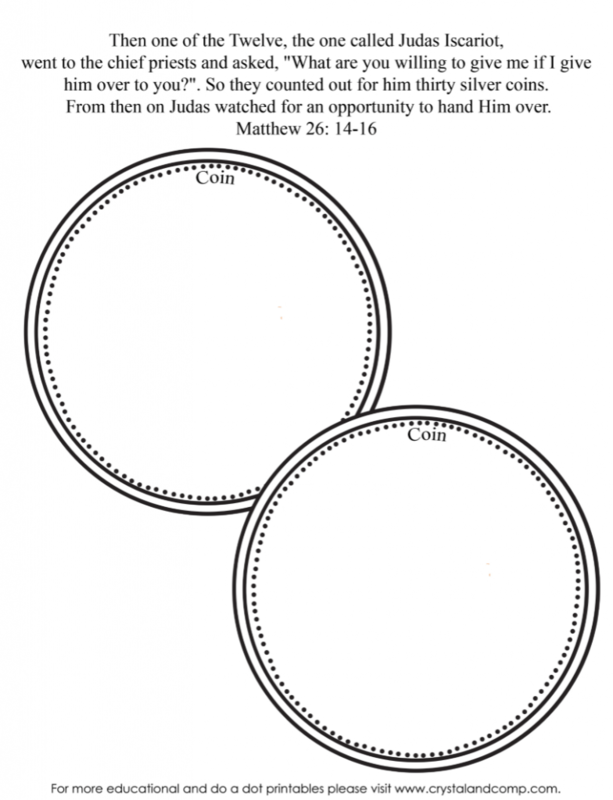 Here is the color page about the coins that were paid in trade for Jesus. 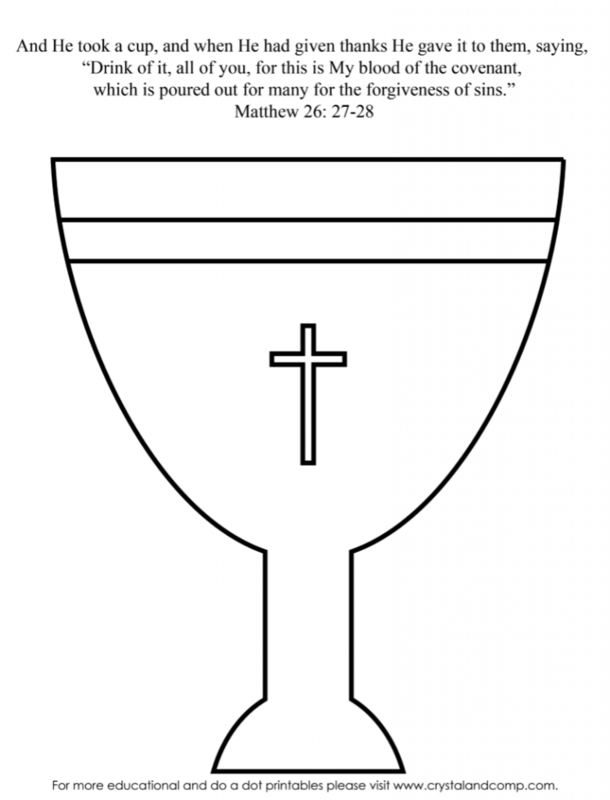 This cup signifies the special dinner Jesus had with his disciples. After the dinner they prayed in the garden. The men who wanted to kill Jesus then whipped him. 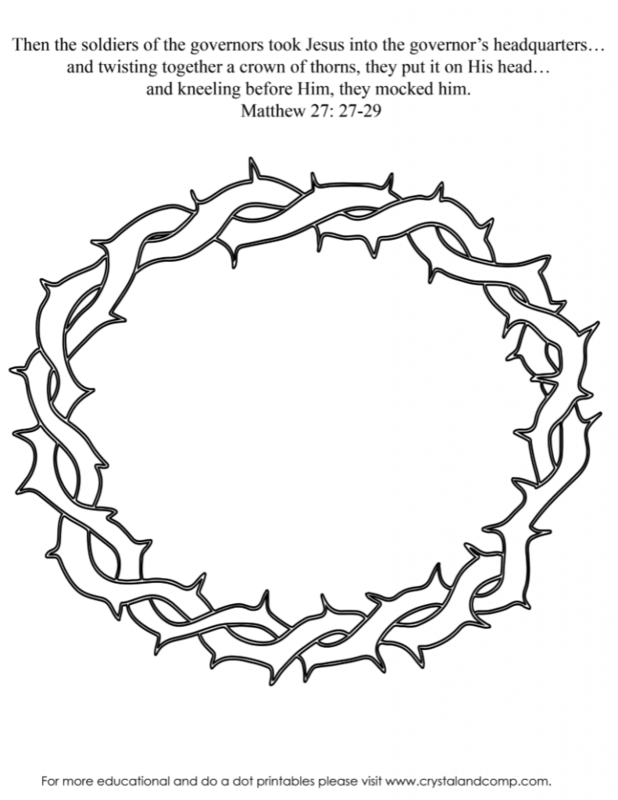 The soliders then made a crown from thorns and shoved it on Jesus’ head. 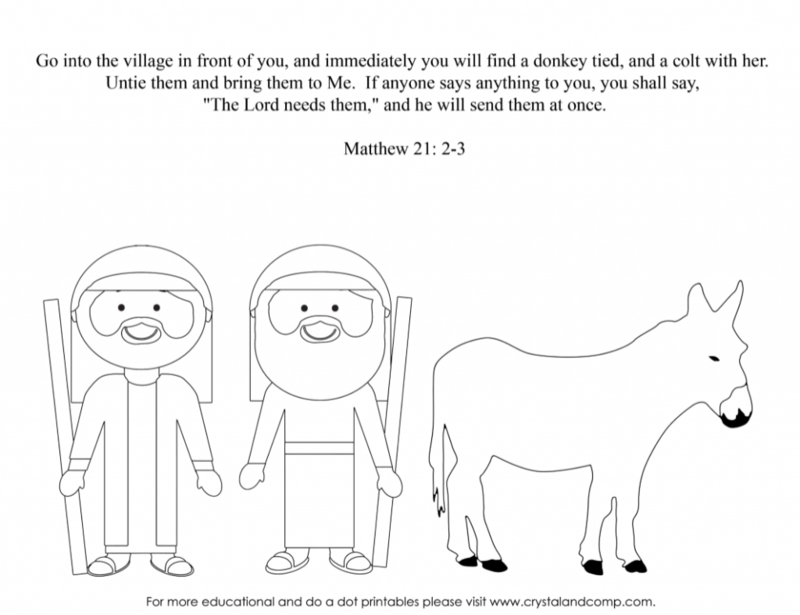 The soldiers then made Jesus carry a heavy wooden cross to the top of the hill. 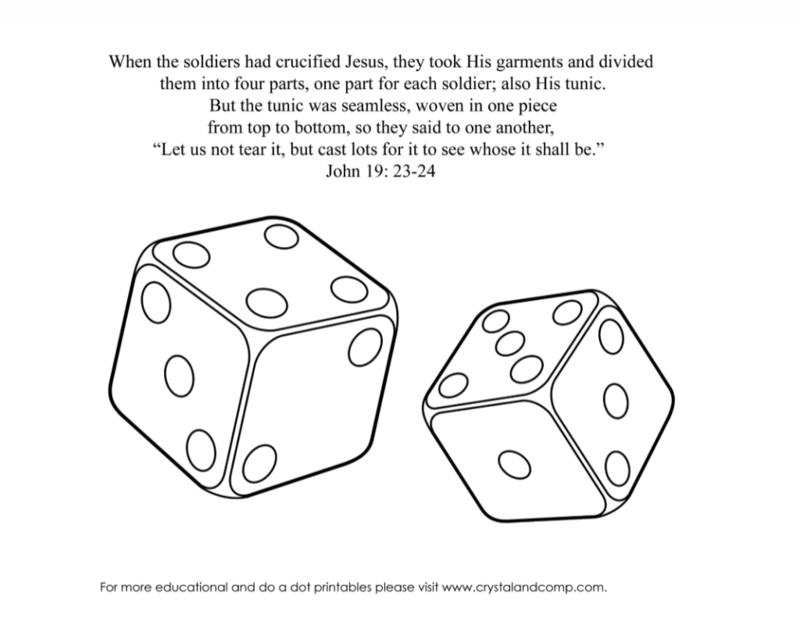 They soldiers then played a game and took all of Jesus’ clothes. 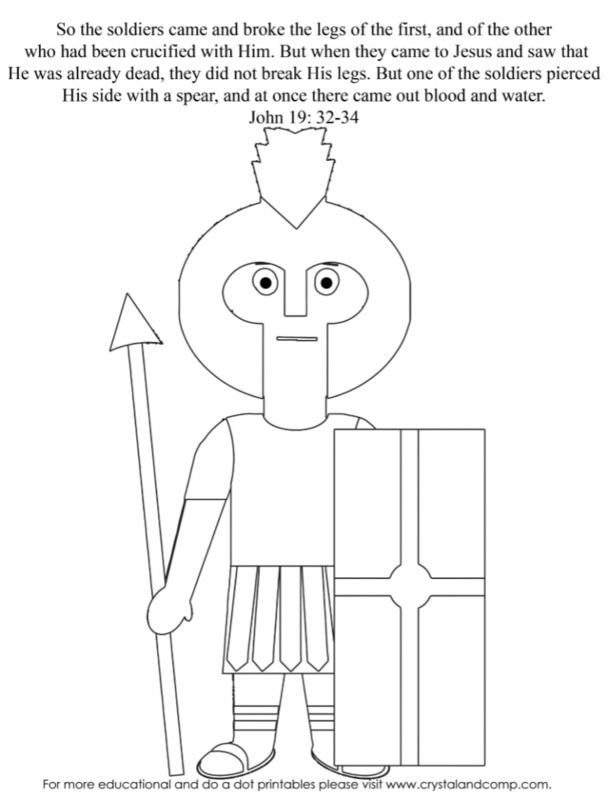 After Jesus died on the cross one of the soldiers stabbed Him with a spear to make sure he was dead. 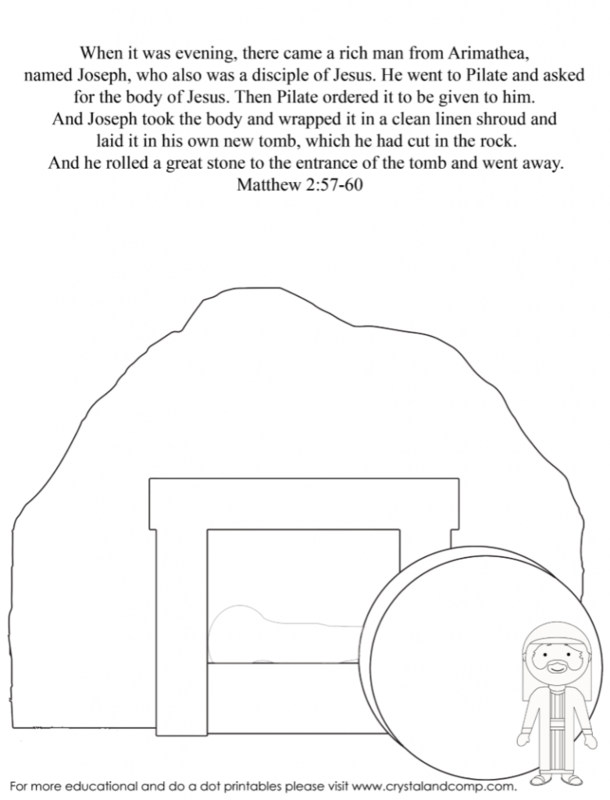 Josheph wrapped Jesus’ body in cloth so he could bury him. 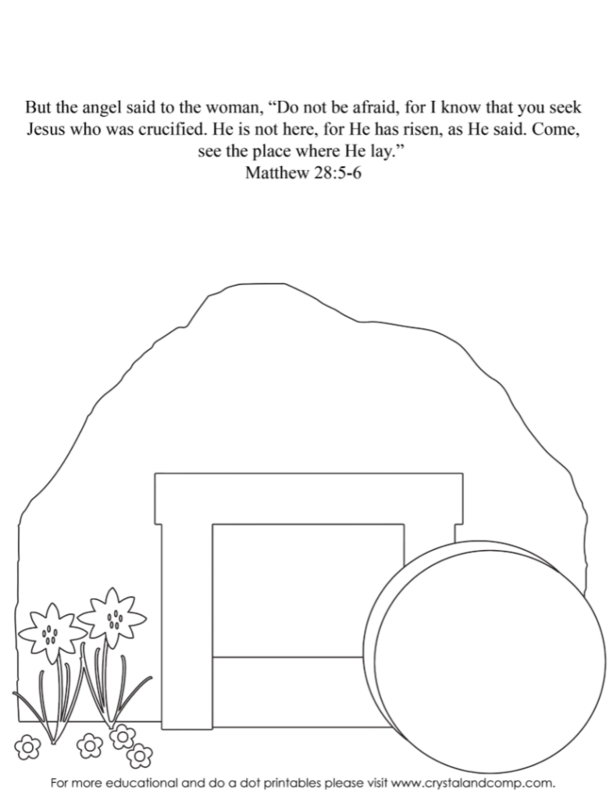 Jesus was placed in a tomb and a large stone was placed in front of the tomb to keep bad people away. 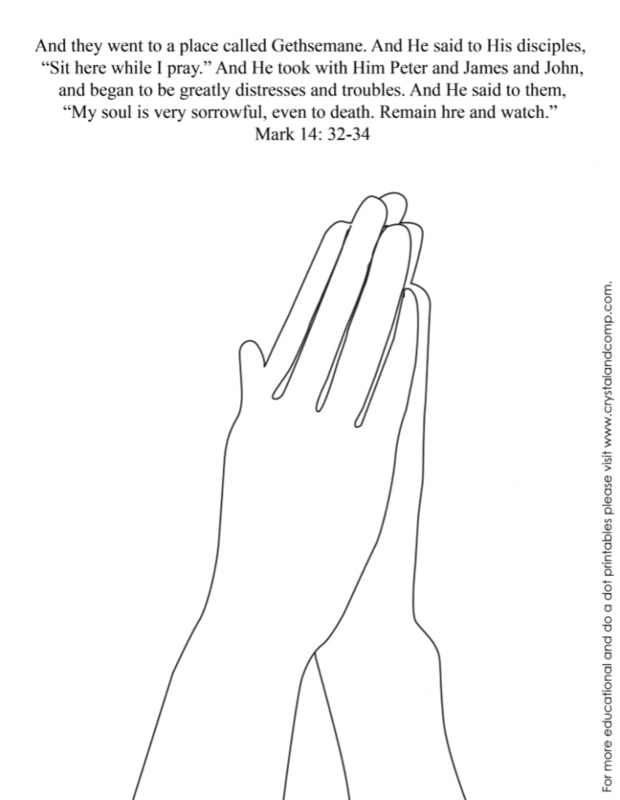 When two women came to the tomb of Jesus the heavy stone was moved and the tomb was empty. Jesus has risen! And this is the story of Easter. 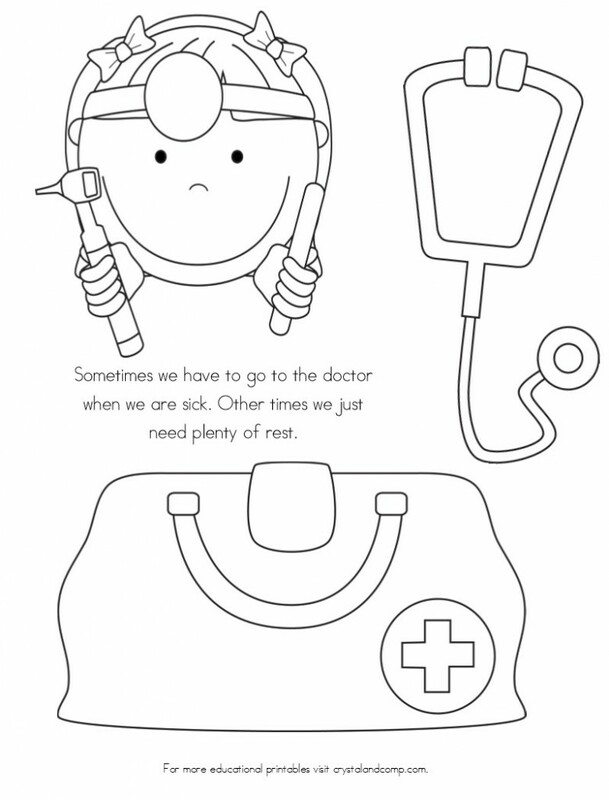 You can print all of the pages here. You can also learn more about where to get Resurrection eggs. Happy Easter and enjoy with your kids, family and church friends. Back to school is creeping up closer and closer. 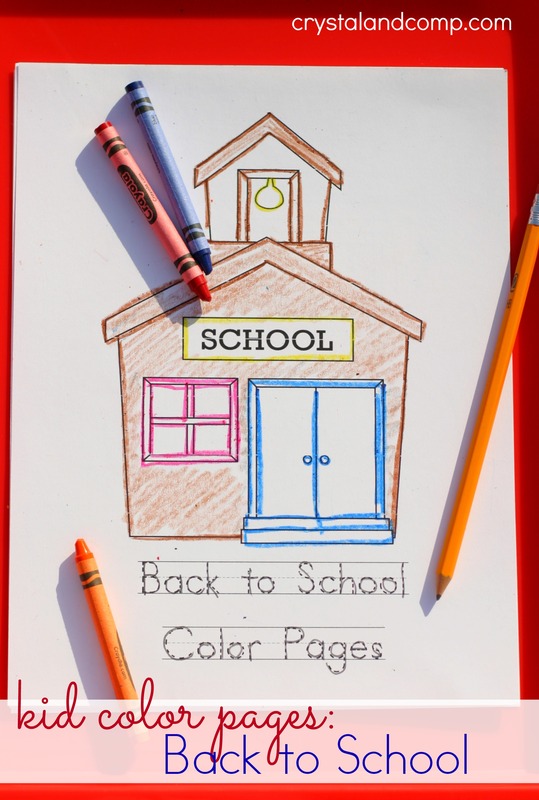 I thought these fun kid color pages would be perfect as we celebrate back to school. 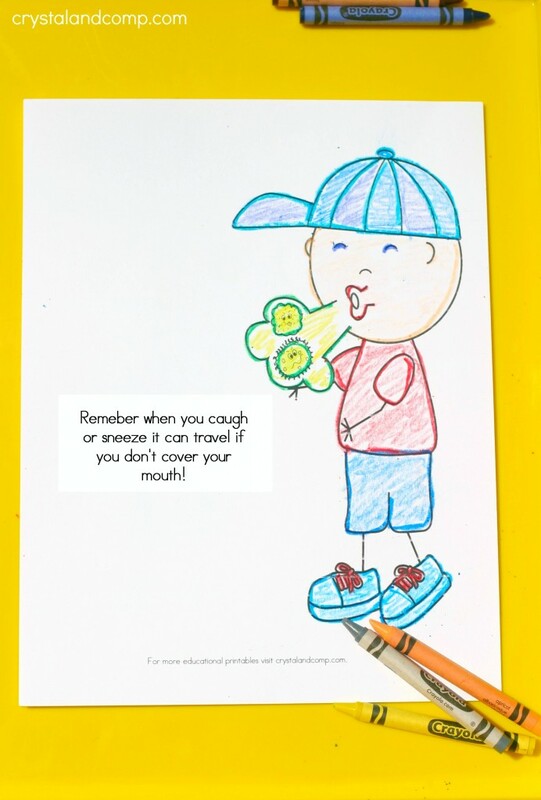 I also worked in some handwriting practice for kids on each page too! 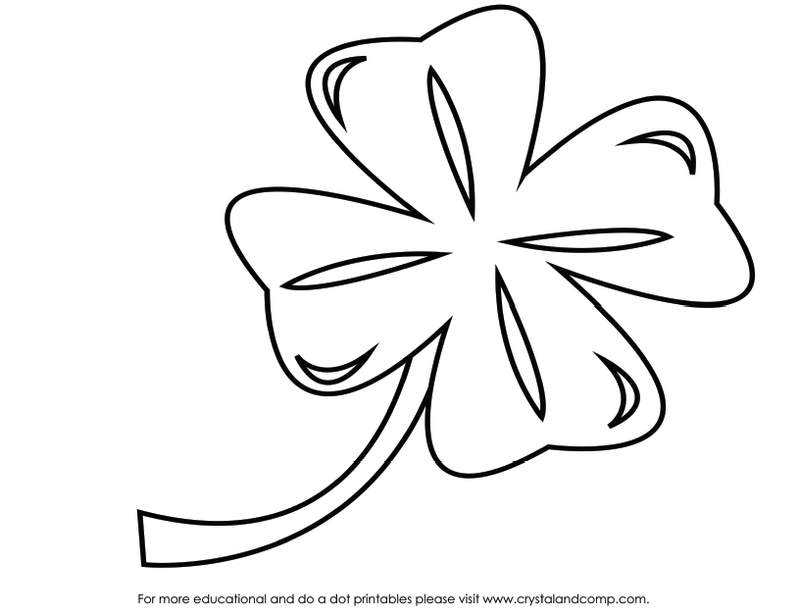 Click on the link above and print out the ten page packet. 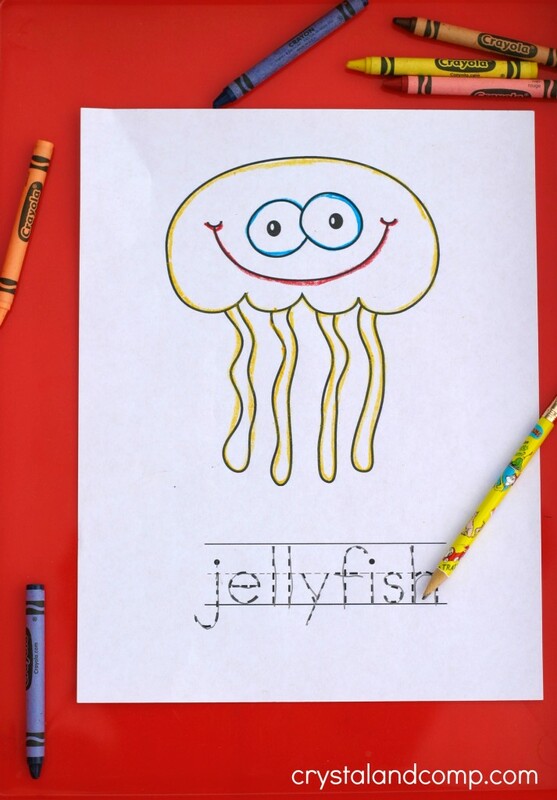 These are perfect for coloring with crayons, markers, map pencils or even watercolors! 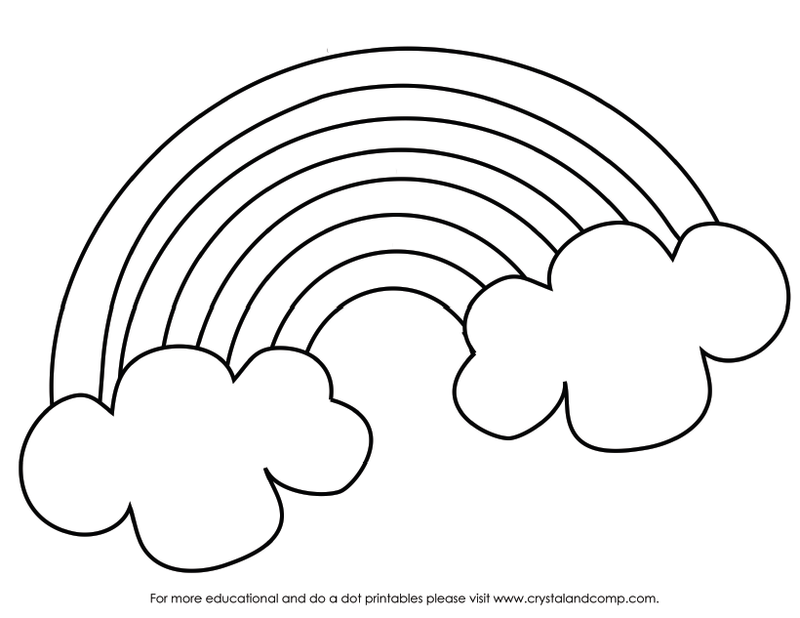 The first page is a schoolhouse. 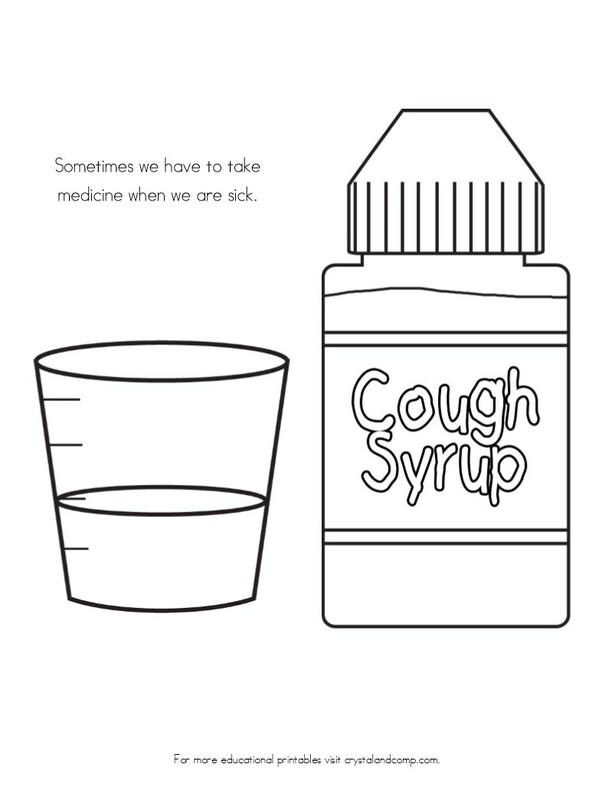 Under the picture is handwriting practice for writing the words back to school. 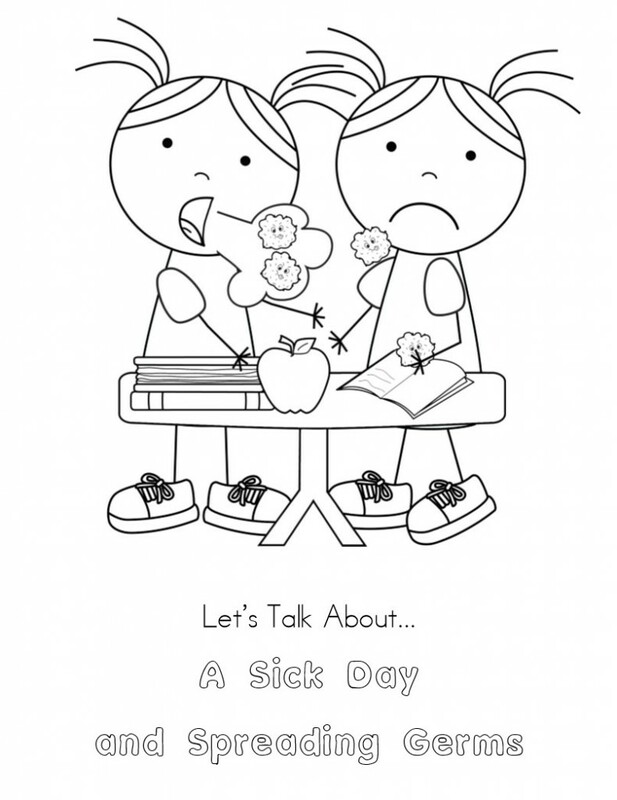 It would not be back to school without an apple, would it? 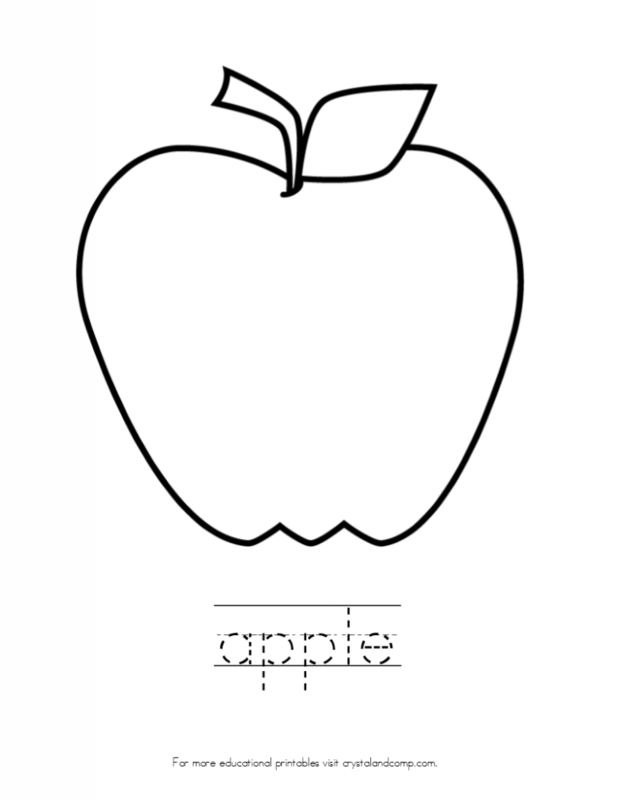 Next trace the word apple and color the apple green or red. 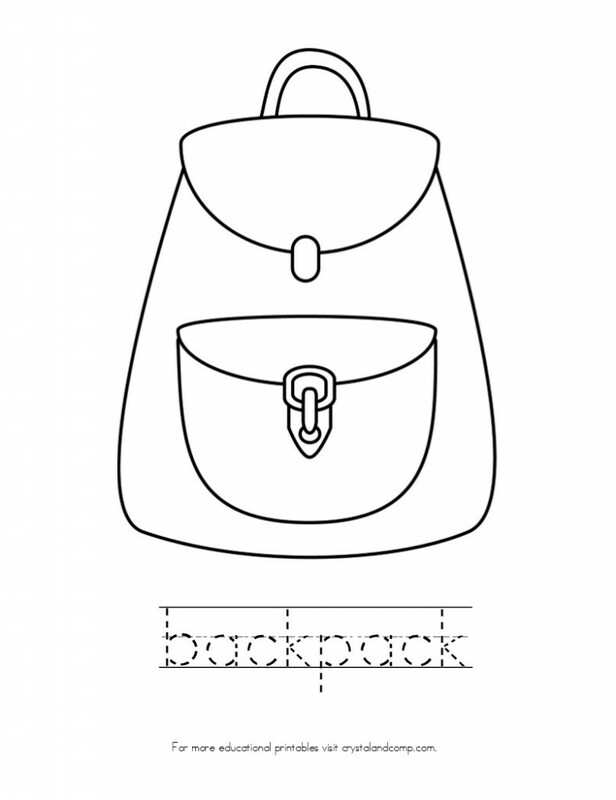 Everyone needs a backpack, right? 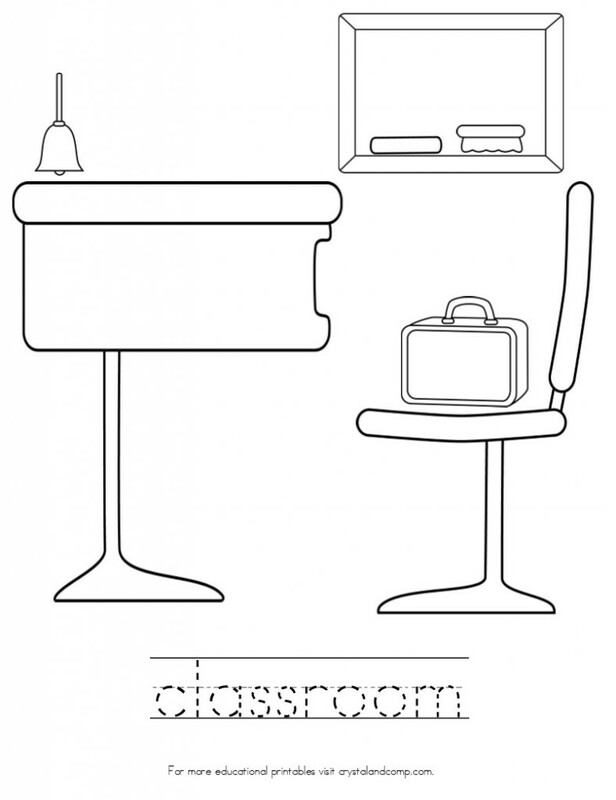 Back to school means there is a classroom. We homeschool, so our classroom is the dining area. 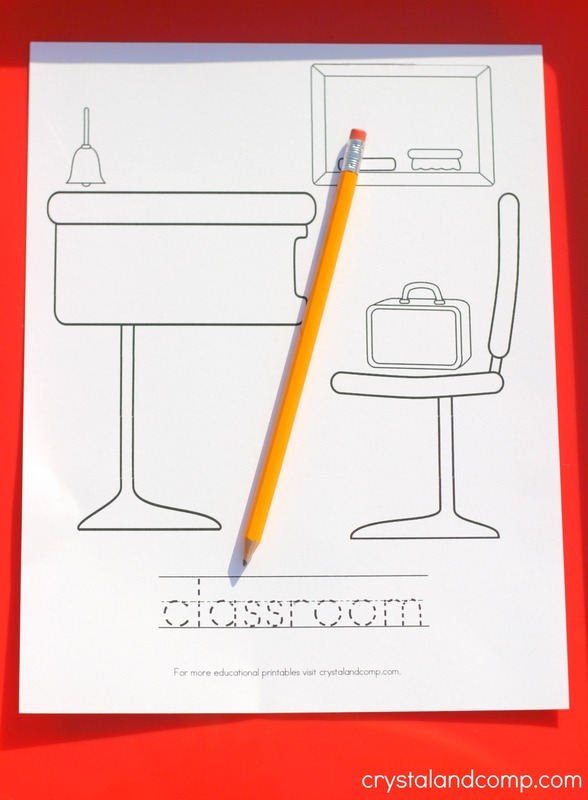 This is what a classroom might look like in a schoolhouse. With back to school comes reading. What are your favorite books to read right now? Some kids ride a school bus to school. 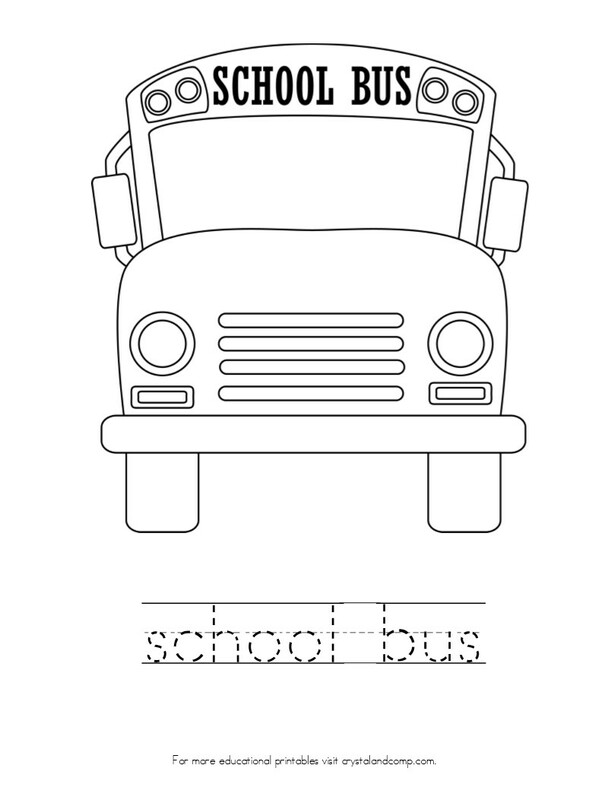 Do you think it would be fun to ride a school bus? Every classroom has a globe in it. Let’s take a look at the world around us! 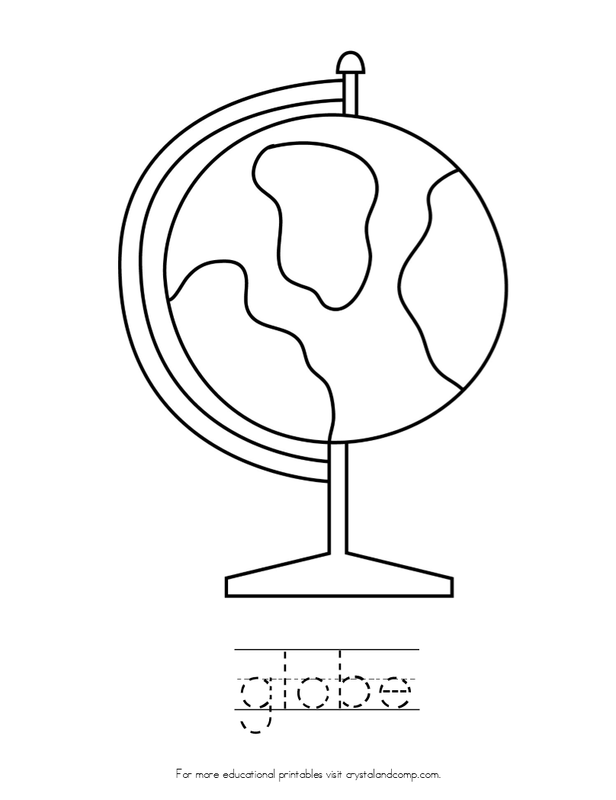 Practice your handwriting and trace the word globe. The school year means lots of writing. 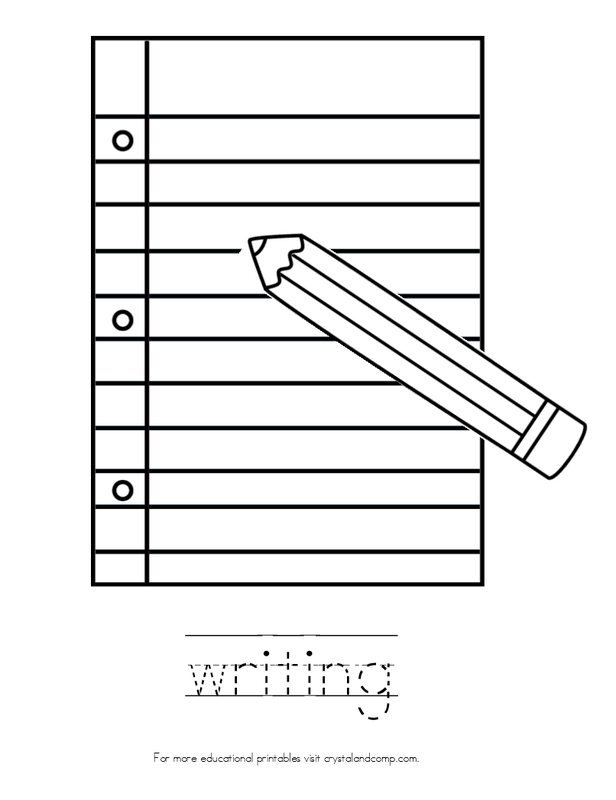 What would you write on the paper below? 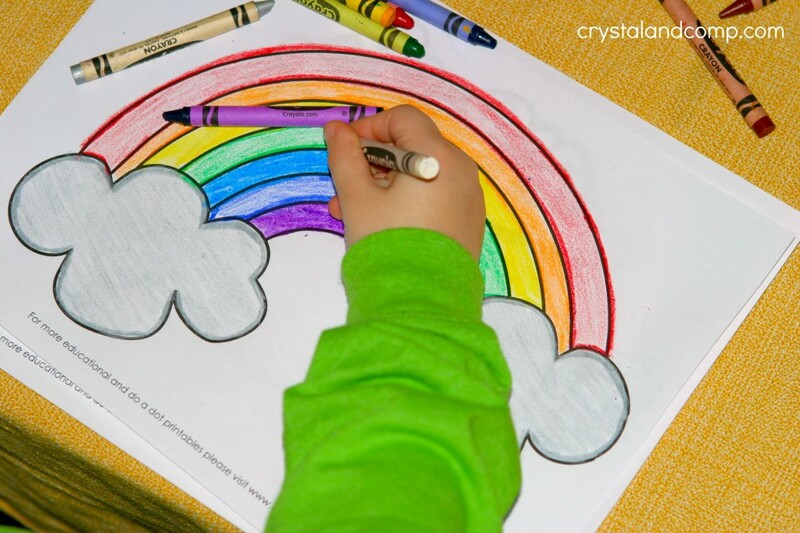 Do you love to color with crayons? 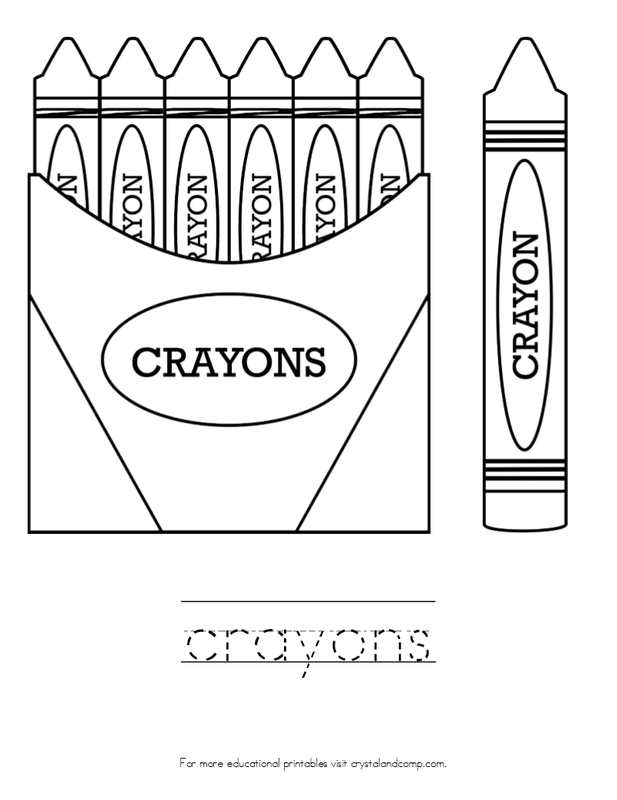 Which colors are in your crayon box? 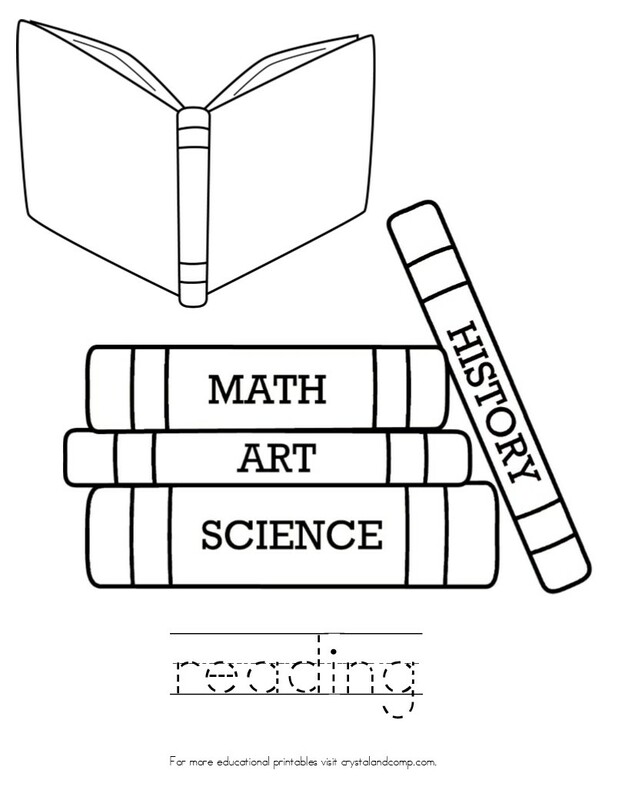 One of our favorite things about homeschooling is creating stuff. What are your favorite things to create? And there you have it. 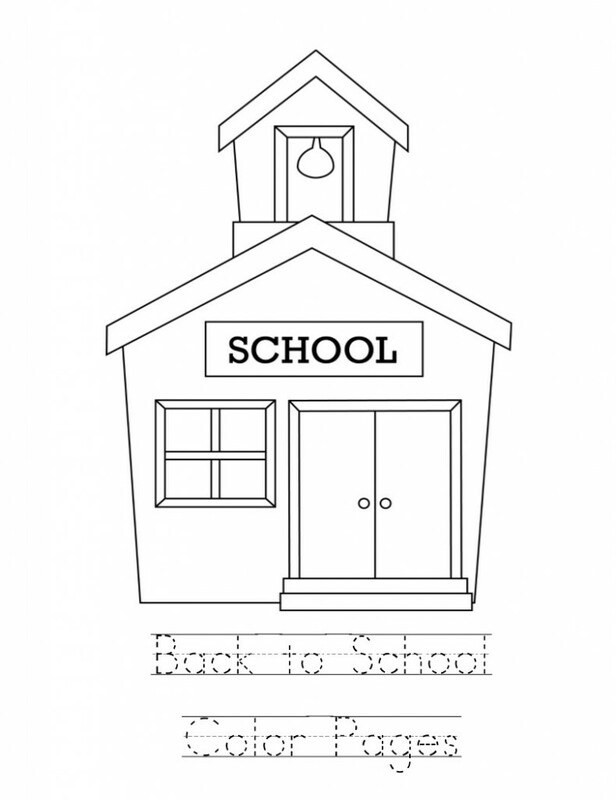 A fun kid color pages packet that is perfect for back to school! 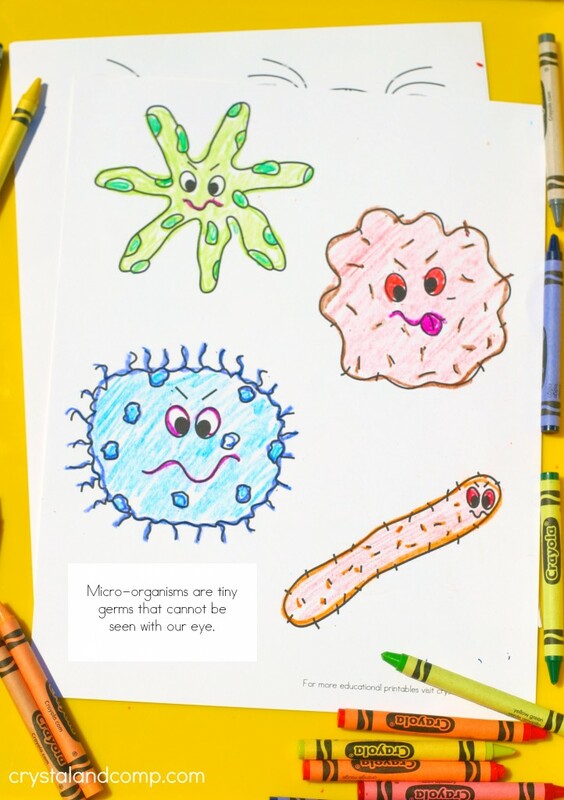 We love kid color pages at our house! 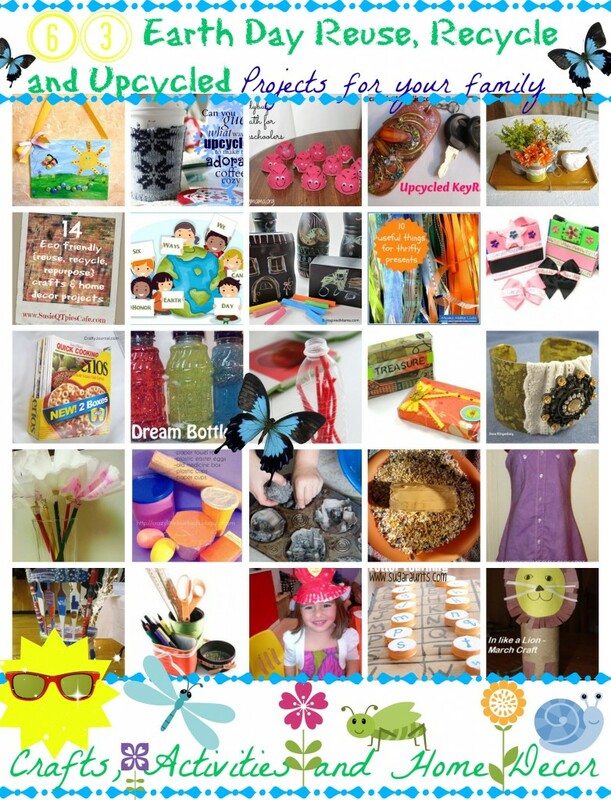 With the warm weather we are looking for fun ladybug activities and crafts. 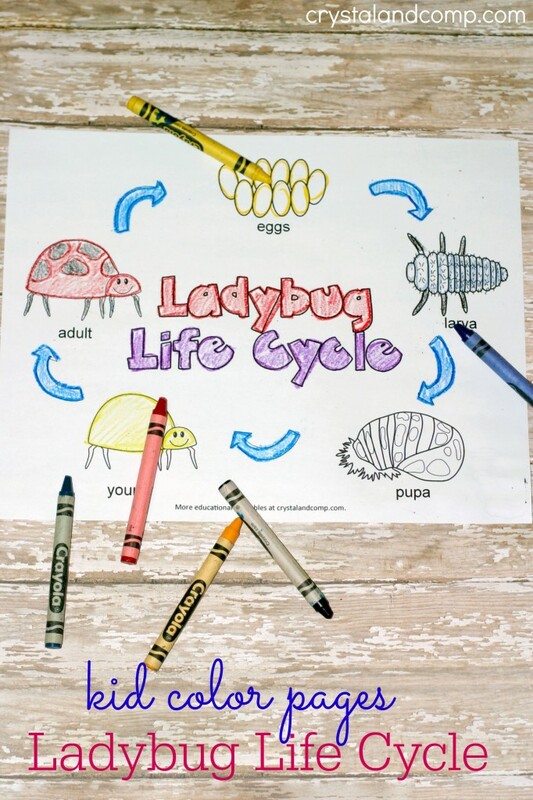 I thought an educational collection of printables that focus on the life cycle of the ladybug would be perfect. 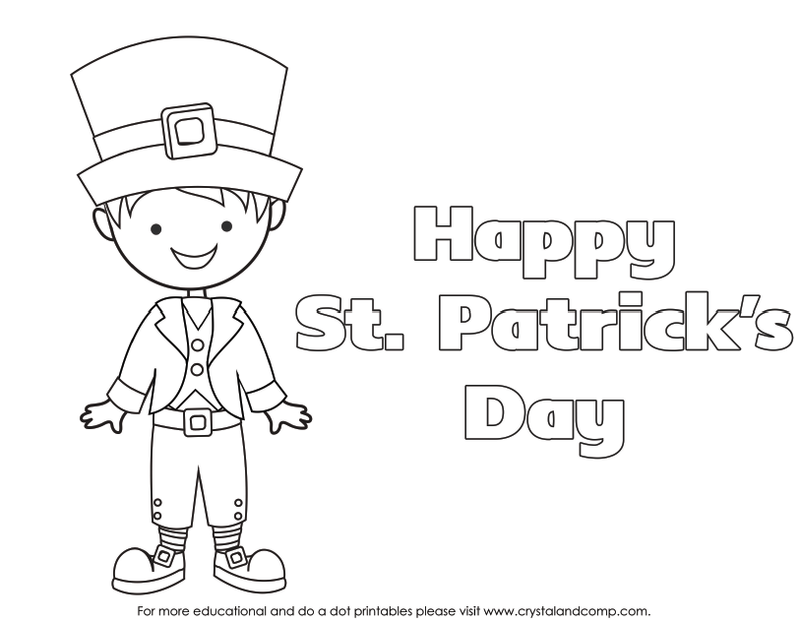 Grab your crayons, markers or colored pencils. 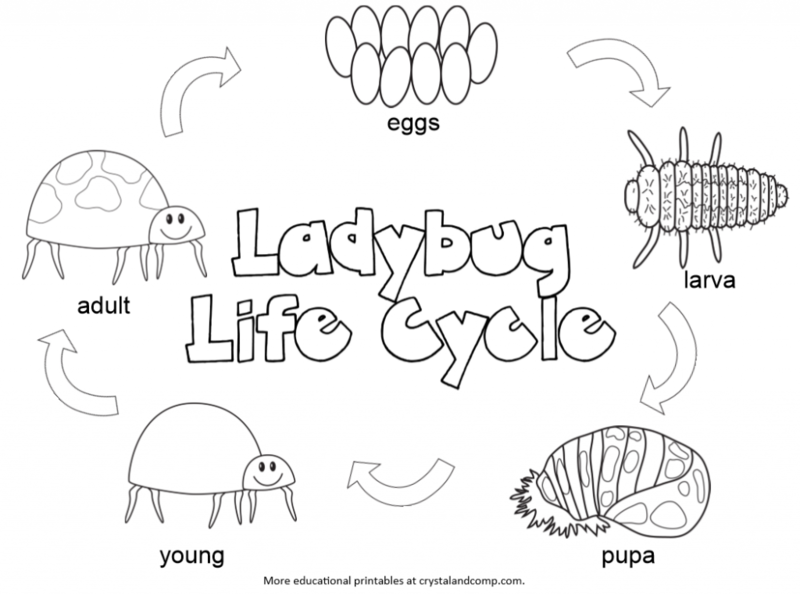 And let’s talk about the metamorphosis process of the ladybug! 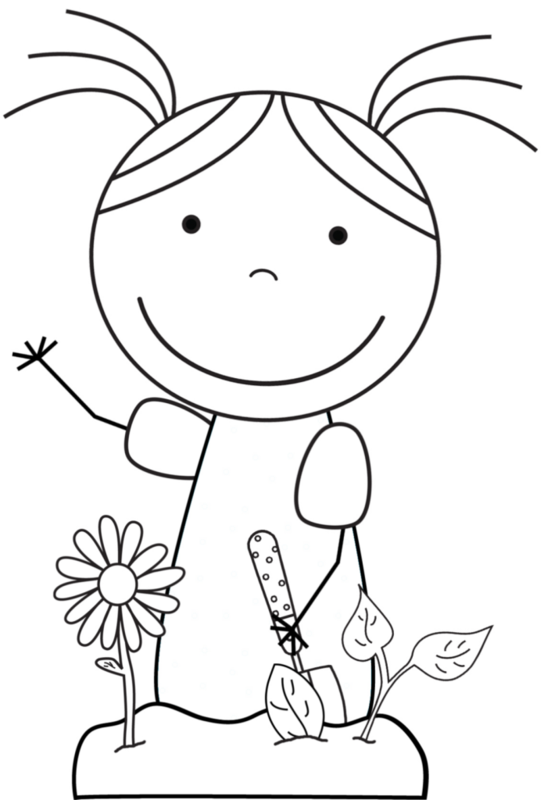 Start at the top of the page and work your way around talking about each stage of progression for the ladybug. Follow the arrows. Color each step of the way. Now you can break it down page by page. Talk about where the ladybug lays her eggs. 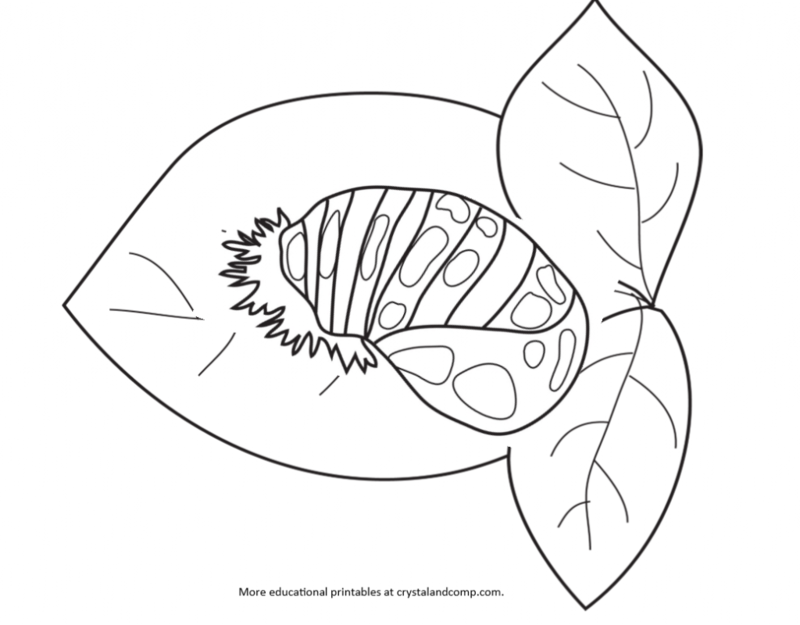 The next pahse of the ladybug is to be a larva. 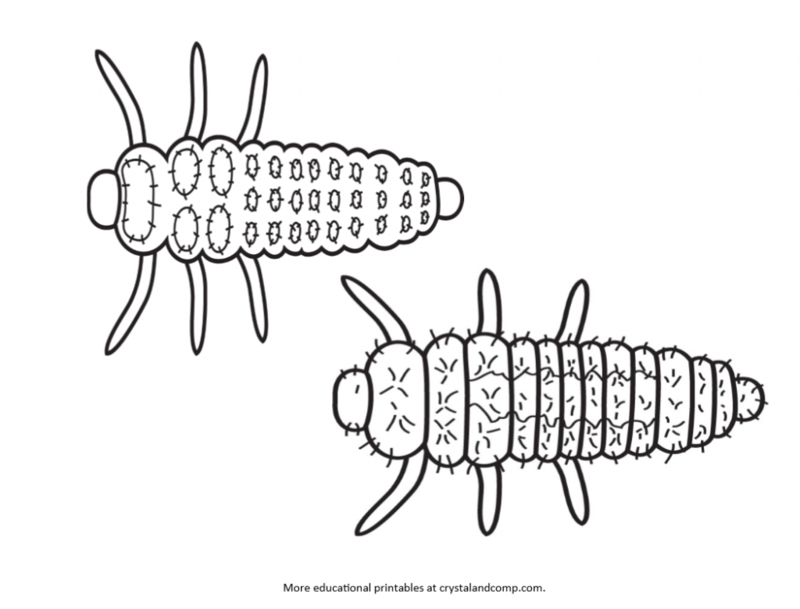 Here is a young larva and a mature larva. See how much they change as they grow? Count the circles on the young larva. Count the spiky little hairs on the mature larva. Next it changes into a pupa. 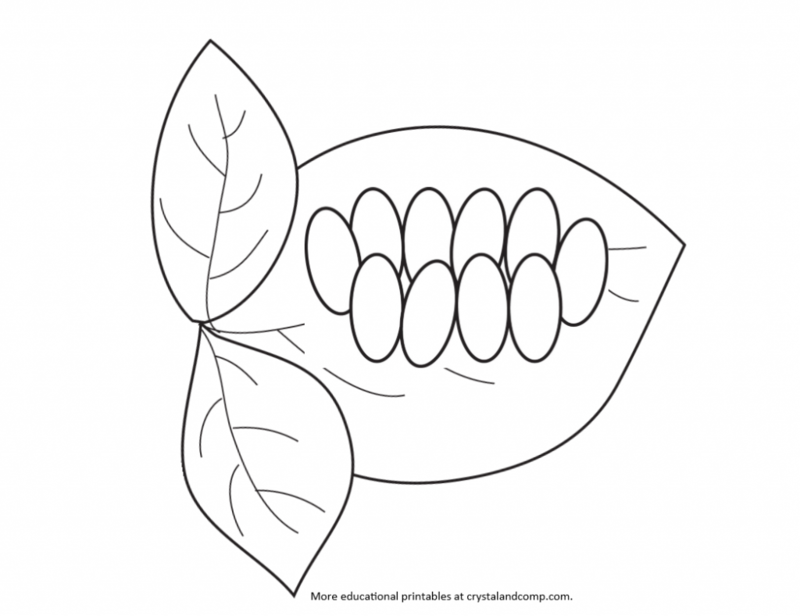 This looks a lot like a caterpillar, don’t you think? Count the circles on the pupa’s back. 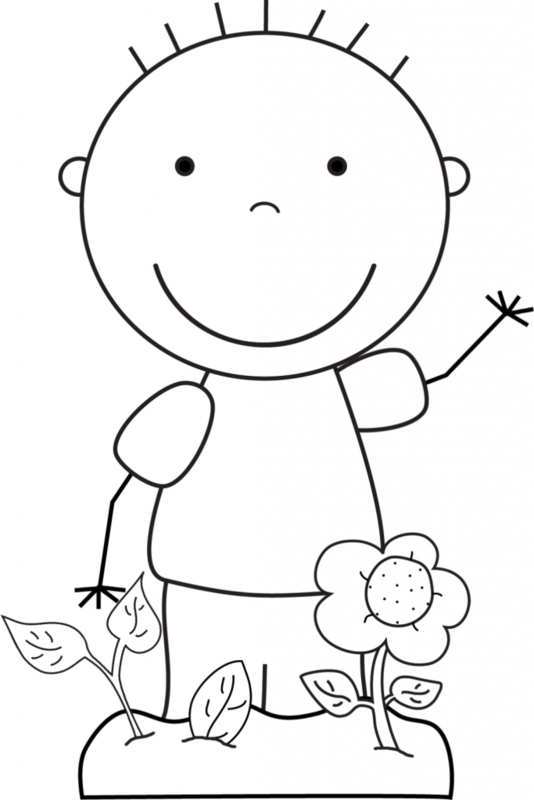 Did you know that when a ladybug is young it is yellow and has no spots. 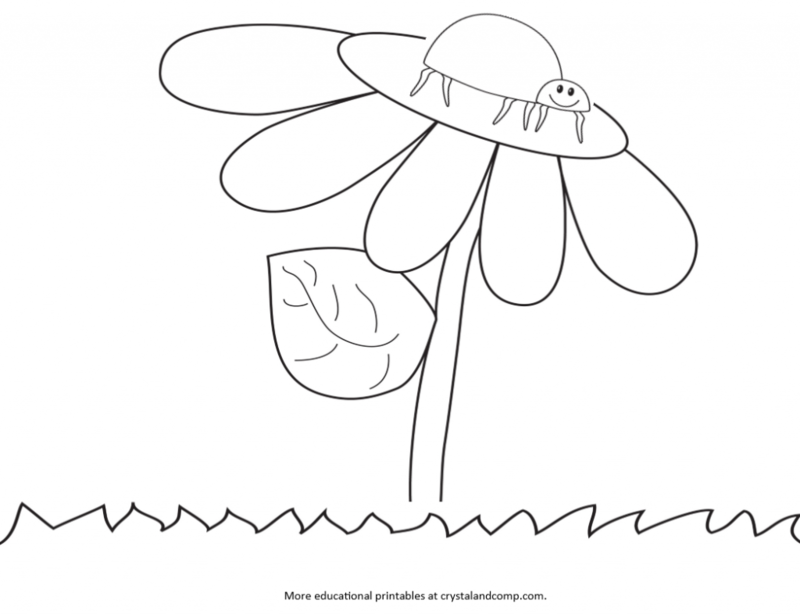 How many legs does the ladybug have? And now the ladybug is red and black and has it’s spots. Where do you see ladybugs in your yard? Crawling on flowers, trees and in the grass? And there you have it. The life cycle of a lady bug. 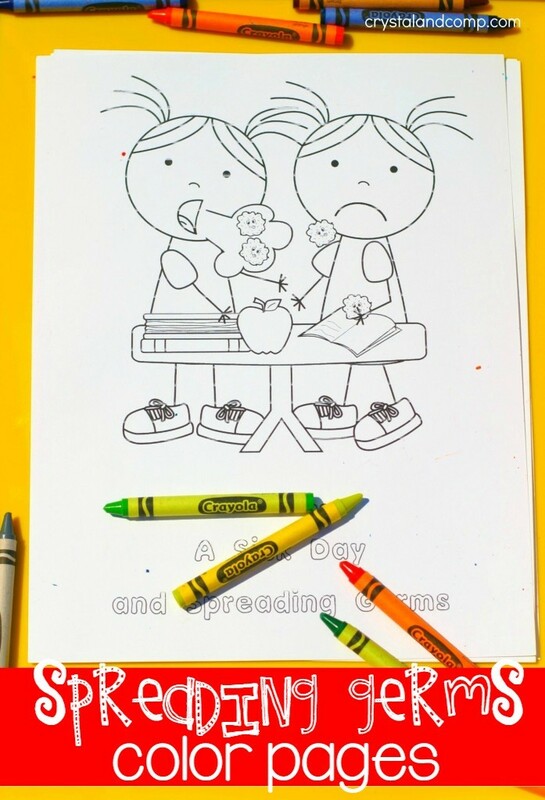 You can also read this great book for youngsters called A Ladybug’s Life while you do these kid color pages.